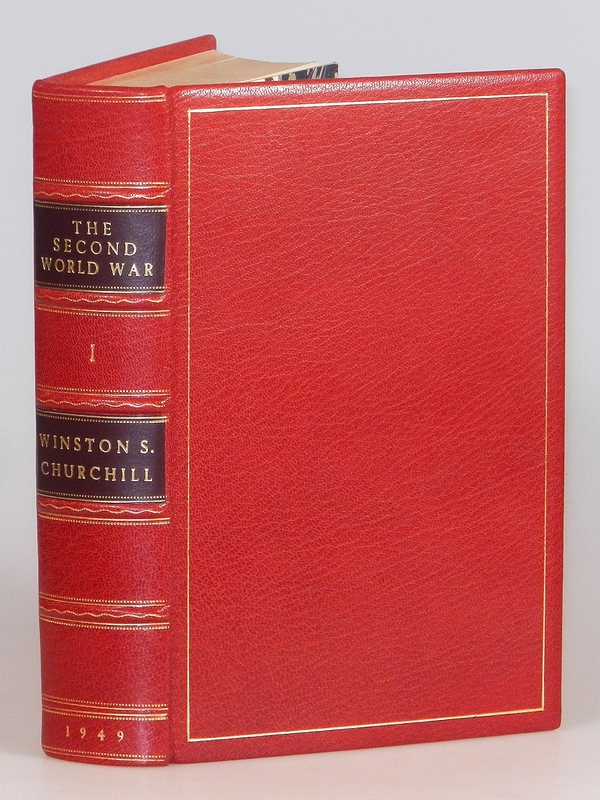 We recently had the privilege to catalogue a compelling, inscribed set of Churchill’s history of the Second World War. 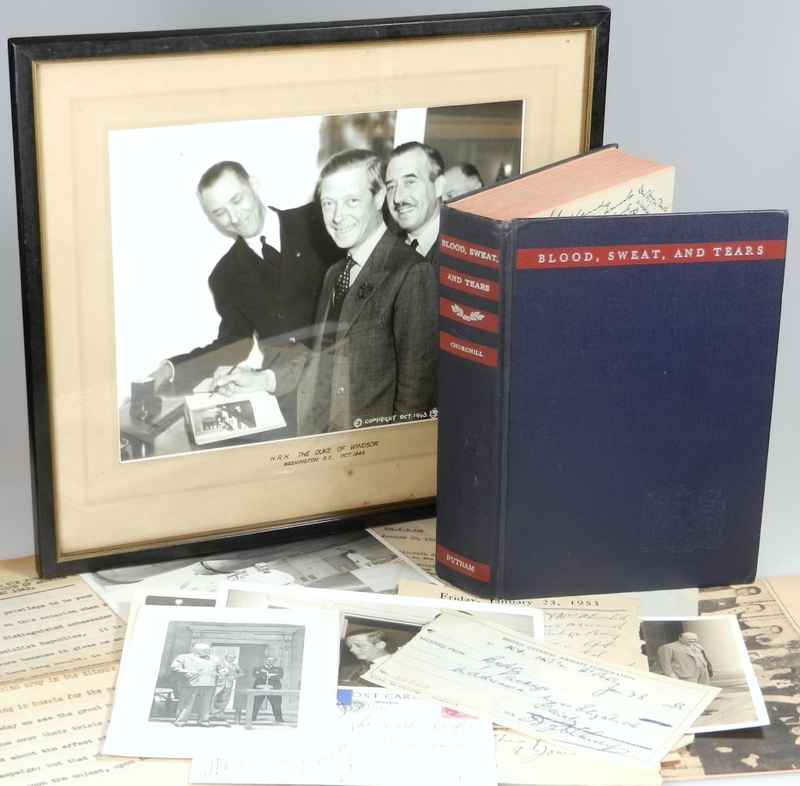 This set belonged to the pilot who flew Churchill to England from Madeira in a flying boat on 12 January 1950 for the run-up to the February 1950 General Election. 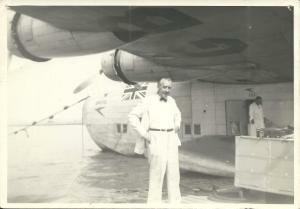 Captain Andrew Cannon Treyer Evans (1923-2000) was an RAF pilot during the Second World War. 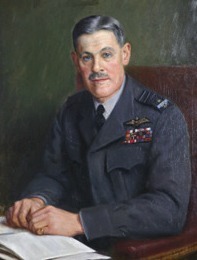 Evans enlisted at age 18 in 1941, earned his wings on 25 March 1942, and was demobilised with the rank of Flight Lieutenant on 25 July 1946. 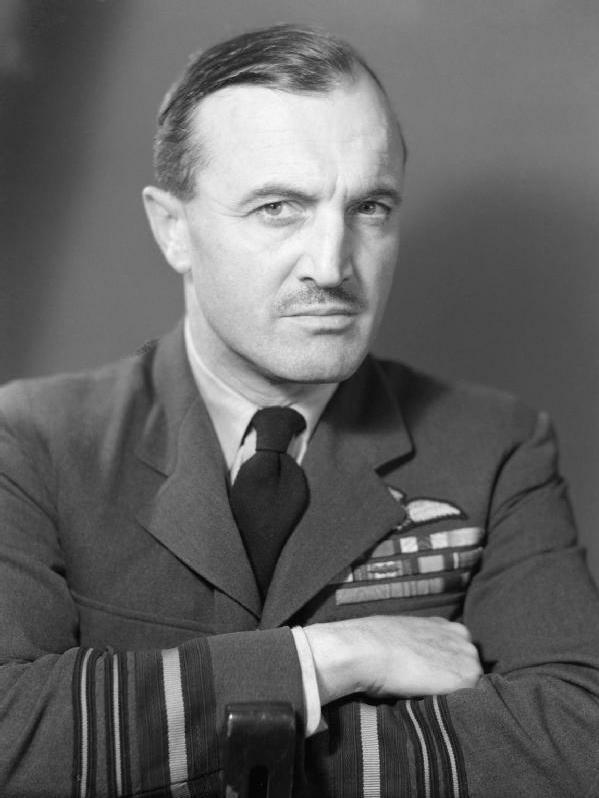 During the Second World War he trained in Airspeed Oxford bombers, flew anti U-Boat patrols and gave instruction in Catalina flying boats, and flew Liberators used in troop transport. One of the planes that Evans flew – the B-24 Liberator – was designed and built by Consolidated Aircraft in San Diego, only a few short miles from where his inscribed books now sit in our library. Of course the connection is only tangential, but that does not keep it from kindling some imagination and reflection. About the constantly changing tides of human endeavor. 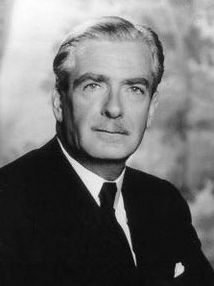 About the things which endure, the many which do not, and the role of chance in separating the former from the latter. 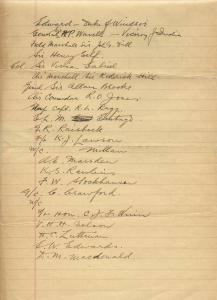 More than 18,000 Liberators were built during the war. 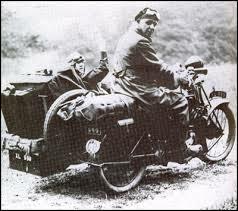 There are reportedly only two still flying today. 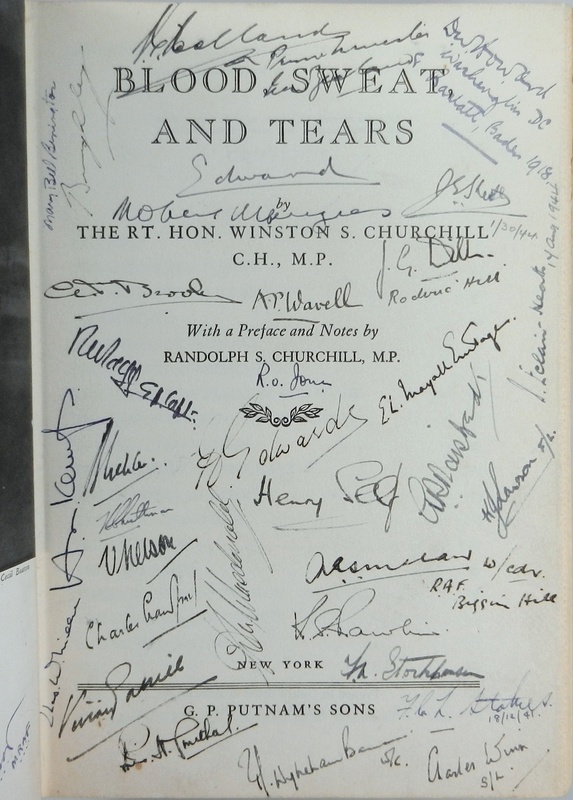 Happily, this set of books has also endured, and is a truly unique collection of signatures that physically connect to one of the many pivotal moments in Churchill’s long life. Before this set passes from view into the hands of a collector, it seemed fitting to share. Hence this post. 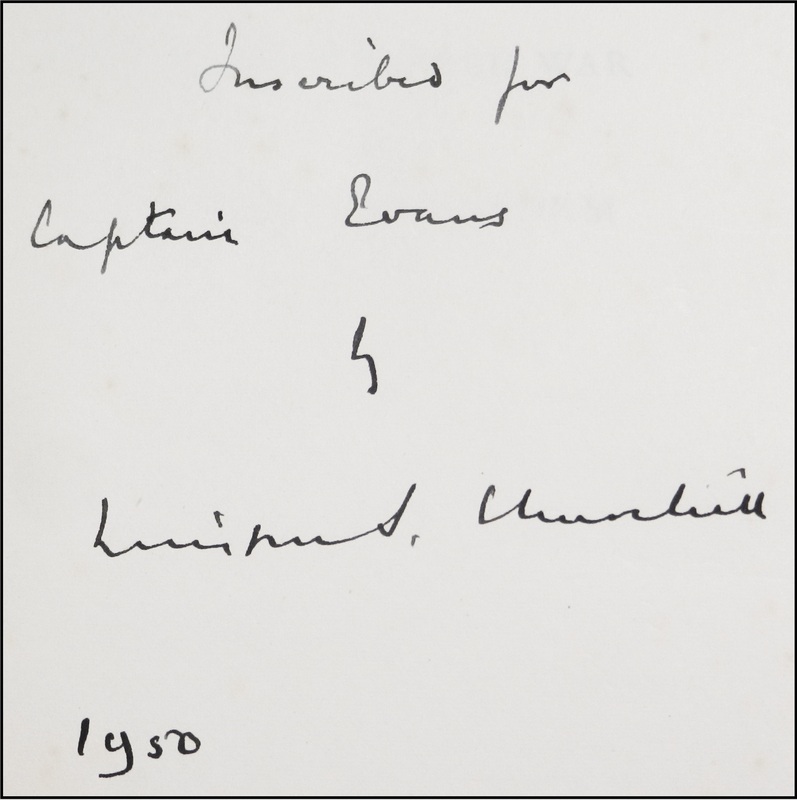 Volume I is inscribed in five lines in black ink on the front free endpaper: “Inscribed for | Captain Evans | by | Winston S. Churchill | 1950”. Volume II is signed by Churchill on the front free endpaper in black ink. 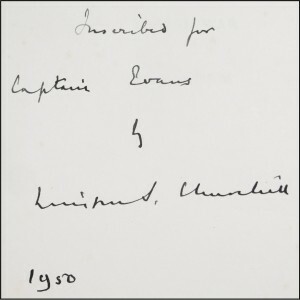 Captain Evans’ original flight log book is signed by Churchill in blue ink on the page logging his 12 January 1950 flight with Evans. A typed presentation letter on Chartwell stationery conveying the two signed books to Captain Evans is dated “28 March, 1950” and signed by Churchill’s private secretary, Cecily Gemmell. 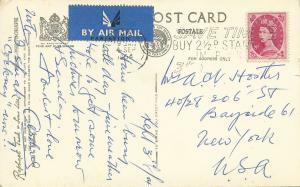 Also included with the set is an original 13 January 1950 newspaper clipping with quotes from both Captain Evans and Churchill about the flight. The exceptional fine binding is newly commissioned by us from a highly skilled binder. The entire set is finely bound in full red morocco with gilt decoration and print, raised spine bands, contrasting morocco title and author panels, top edges gilt, and marbled endpapers. 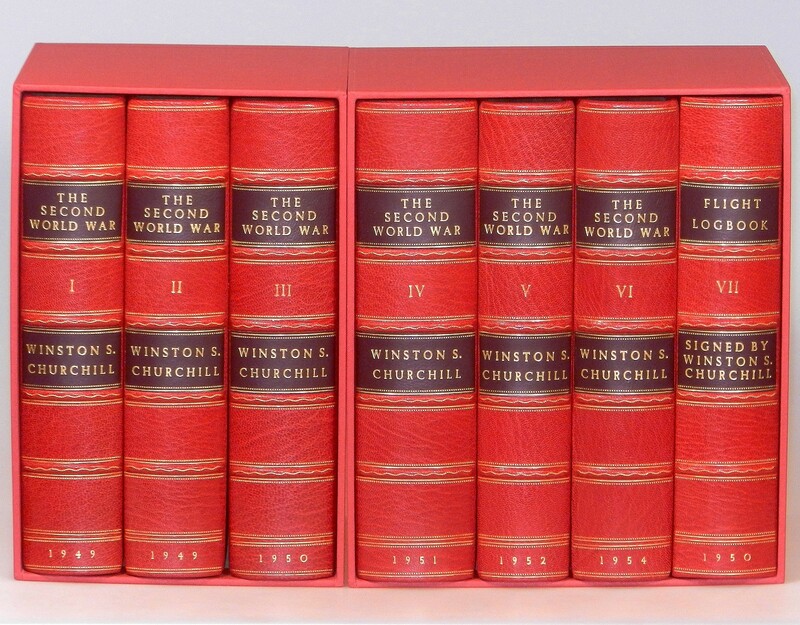 All seven volumes are housed in two red cloth slipcases. 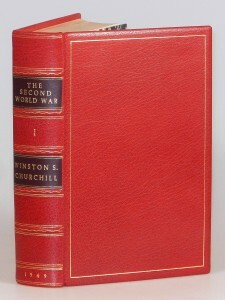 Volume I is the edition available at the time of presentation – that being the first printing of the second (revised with Churchill’s many corrections) edition, published November 1949. 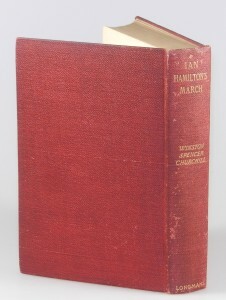 The signed Volume II, as well as the additional four volumes comprising the set, are British first edition, first printing. 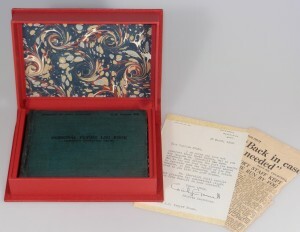 A seventh “volume” is a clamshell case housing the signed flight log book, presentation letter, and newspaper clipping. 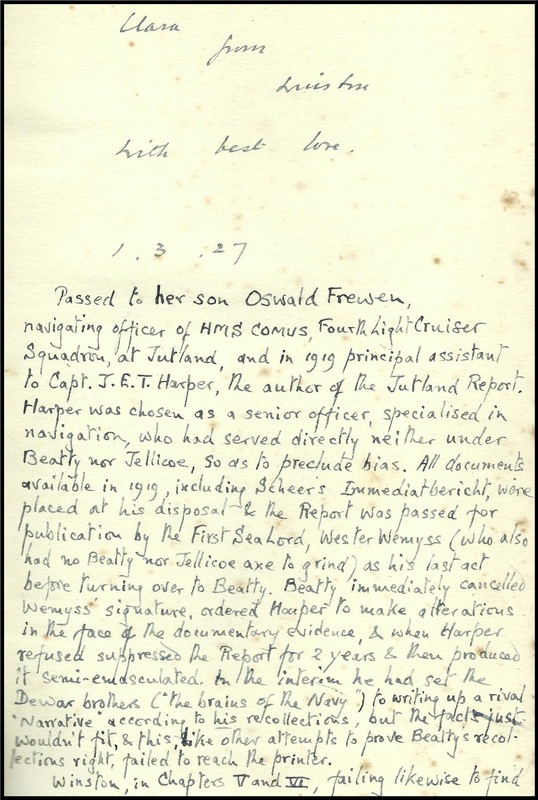 We had Captain Evans’ book plates carefully recovered from the original pastedowns of the two signed volumes and affixed to the new pastedowns. We also had protective tissue covers tipped in preceding the inscribed Volume I page and signed Volume II page. The overall aesthetic is lovely but, more important, should ensure that the books comfortably outlast many collectors yet to come. 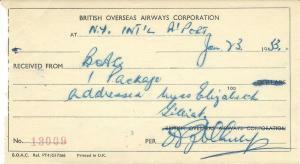 After the war Evans flew commercially for the British Overseas Airways Corporation, The British European Airways Corporation, and Aquila Airways Limited. 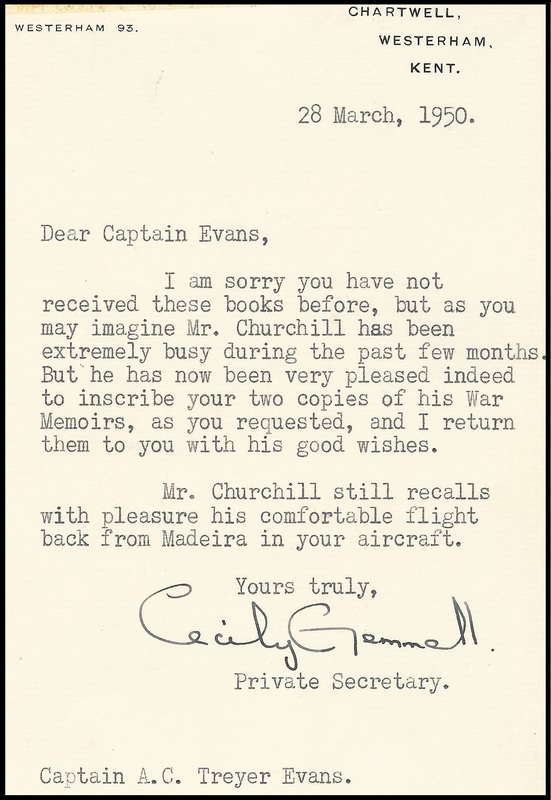 Captain Evans was piloting a flying boat for Aquila Airways on 12 January 1950 when he flew Churchill back to England from the Portuguese island of Madeira. The flight proved nearly as dramatic and uncertain as the election itself. Poor visibility due to fog threatened to divert the landing site and caused a scramble for the reception party on the ground. 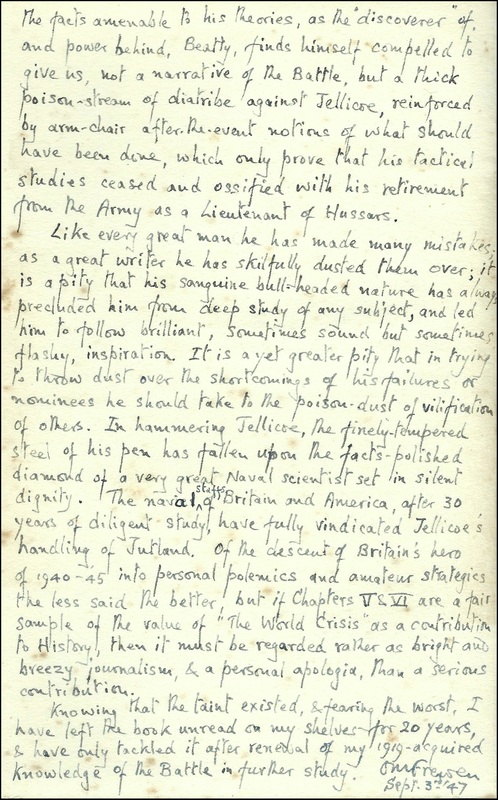 The next morning, Churchill telegraphed his wife “We were lucky yesterday with fog which obligingly lifted for half an hour.” (Gilbert, Volume VIII, p.500) The press quoted Captain Evans: “Providence was on our side all the way, and the fog lifted at just the right time.” Providence was not so partisan with the election, which left the Labour-led Government with a thin, five-seat majority. Not until the next General Election, in October 1951, would Churchill’s Conservatives return to majority and Churchill himself to 10 Downing Street for his second and final premiership. 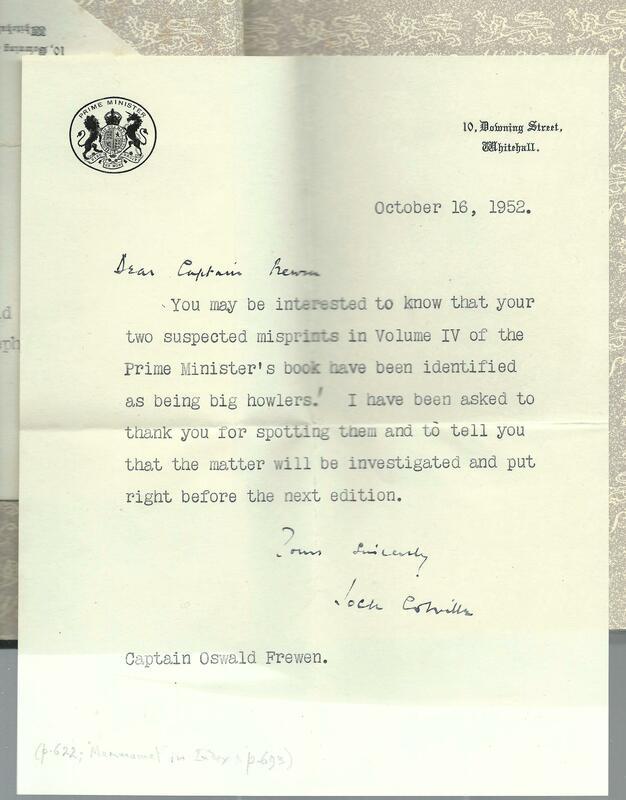 I am sorry you have not received these books before, but as you may imagine Mr Churchill has been extremely busy during the past few months. 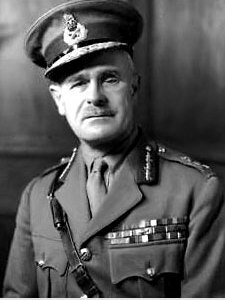 But he has now been very pleased indeed to inscribe your two copies of his War Memoirs, as you requested, and I return them to you with his good wishes. 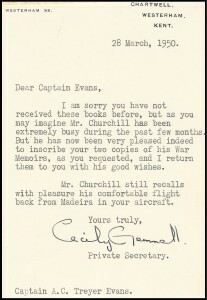 Mr. Churchill still recalls with pleasure his comfortable flight back from Madeira in your aircraft. 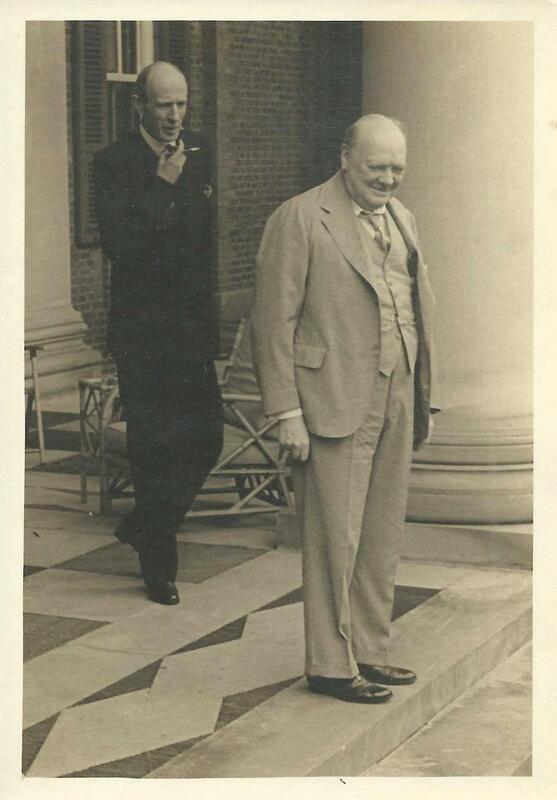 The Second World War is Churchill’s history of the epic 20th Century struggle that was so indelibly stamped by his leadership. 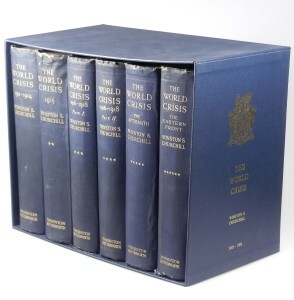 The six volumes of the British first edition were originally published between October 1948 and April 1954. 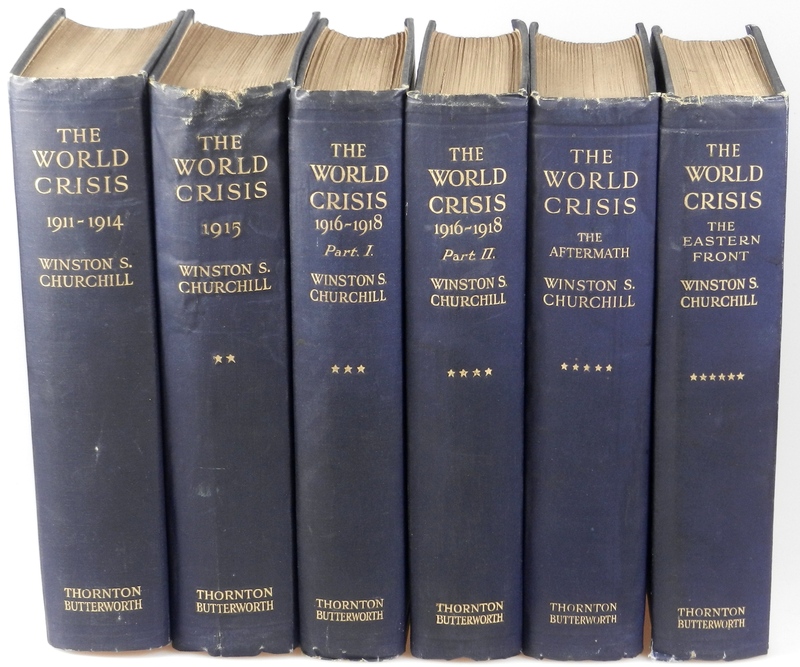 Publication of The Second World War became known for a rather dizzying array of corrections and what Churchill called ‘Overtake Corrections’ (still arriving after the electroplates of the first edition had been made and thereafter accumulating in anticipation of a later edition). 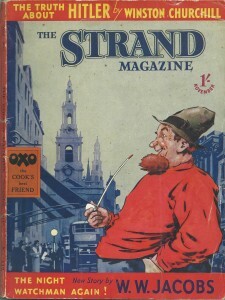 This second edition of Volume I of the British edition – denoted on the copyright page as “New Edition, revised and reset” – was published in November 1949, only five months after the second volume was published and more than eight months before the third volume was published. 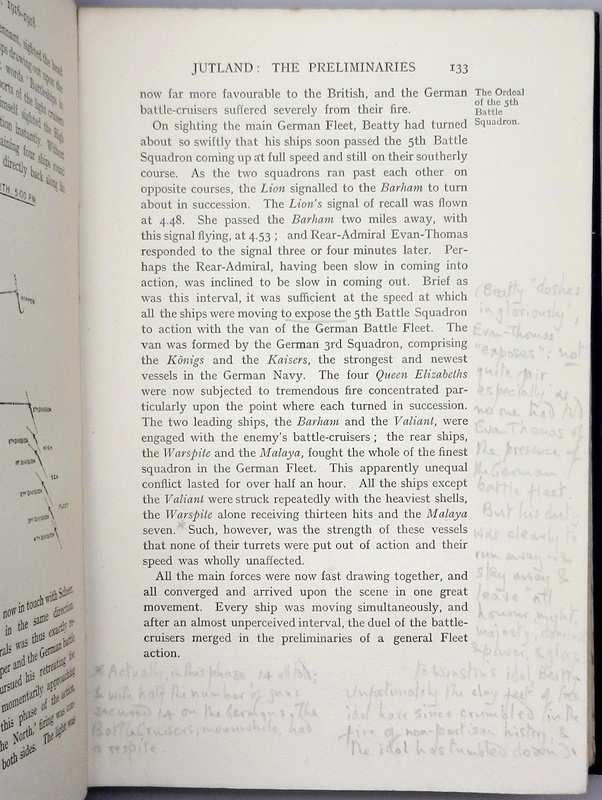 Hence, the first printing of the revised edition of Volume I was the edition readily available when Captain Evans received his inscribed copy. 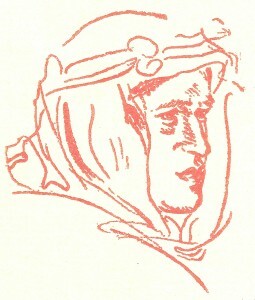 The folks at Castle Hill Press may know more about T. E. Lawrence than anyone on the planet. 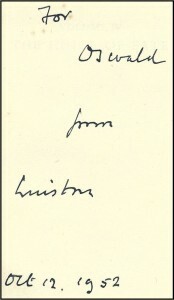 So imagine how happy we are to announce that we will be offering Castle Hill Press Limited editions. 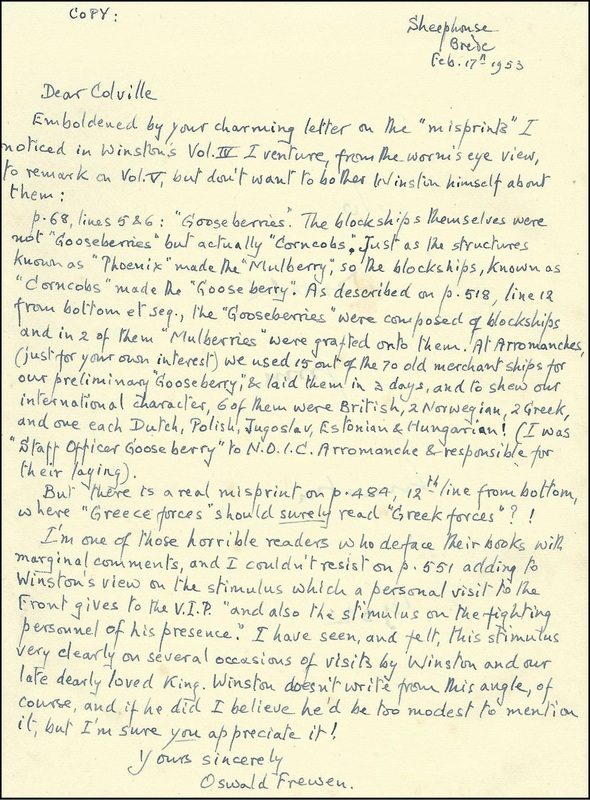 For a quarter century, Jeremy Wilson (Lawrence’s authorized biographer) and his wife, Nicole, have edited and published scholarly editions of Lawrence’s works and correspondence, as well as works about Lawrence’s life. Editions published by Castle Hill Press are praised for both superlative production quality and substantive contributions to the Lawrence canon. 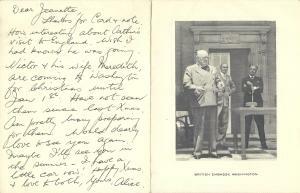 Churchill Book Collector is honored that Castle Hill Press invited us to offer many of their limited editions. 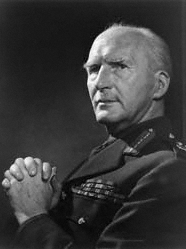 The fame of T.E. Lawrence (1888-1935) derives from his remarkable odyssey as instigator, organizer, hero, and tragic figure of the Arab revolt against the Ottoman Empire during the First World War, which he began as an eccentric junior intelligence officer and ended as “Lawrence of Arabia.” This time defined Lawrence with indelible experience and celebrity, which he would spend the rest of his famously short life struggling to reconcile and reject, to recount and repress. 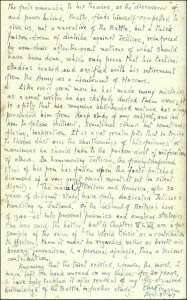 This time also led to the tortured writing and tortuous publication of Lawrence’s masterwork Seven Pillars of Wisdom. Castle Hill Press has of course produced bibliographically unique and compellingly beautiful editions of Seven Pillars of Wisdom, prized by both scholars and collectors, but as the full scope of Castle Hill Press publications testifies, Lawrence’s literary and intellectual reach far exceeded the world and words of Seven Pillars. 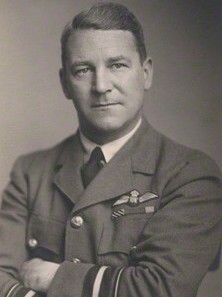 Lawrence’s published works span crusader castles and ancient Greek translation to technical manuals on high speed boats. 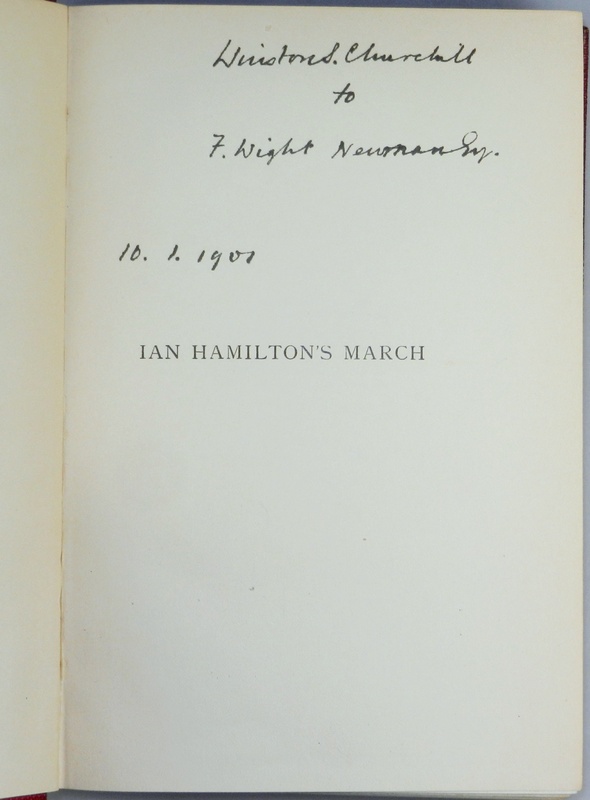 His published volumes of correspondence reveal his engagement with an incredibly diverse array of foremost intellectual and political luminaries of the early twentieth century. 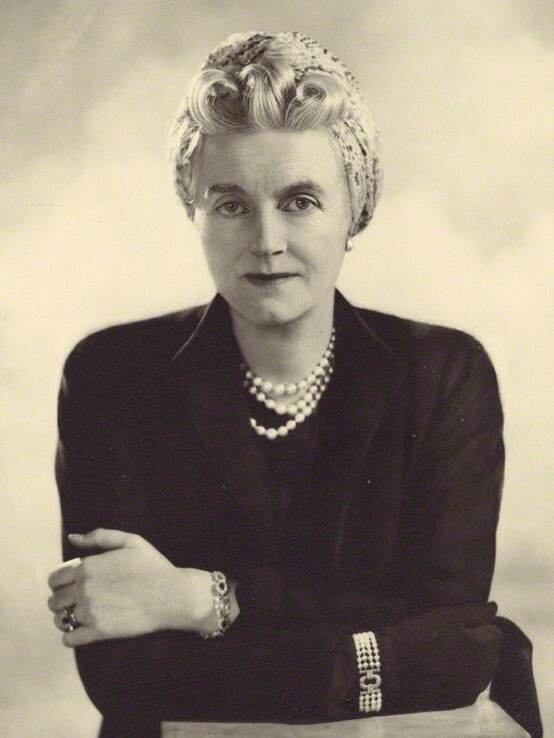 Within the pages of Castle Hill Press limited editions is found the fullest literary measure of this “versatility of genius” consistently presented with both scholarly integrity and the aesthetic sensibilities of a fine press publisher. 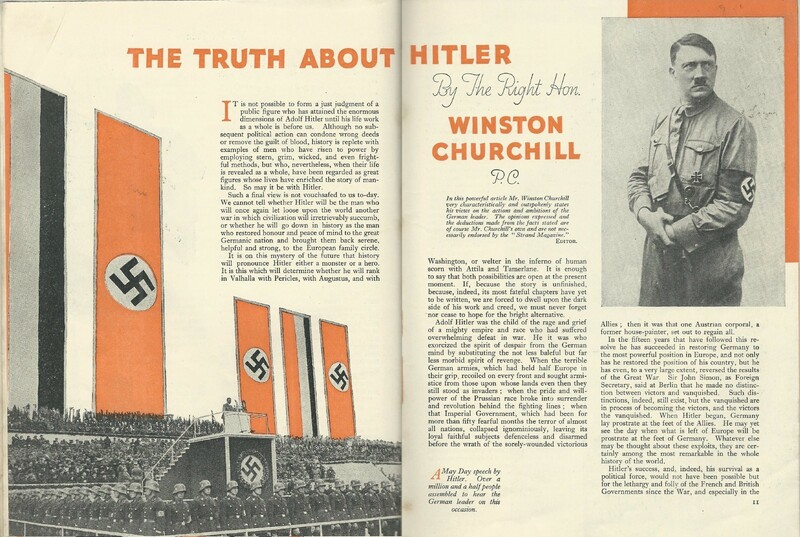 Working with Castle Hill Press, Churchill Book Collector looks forward to bringing Castle Hill publications to your shelves. 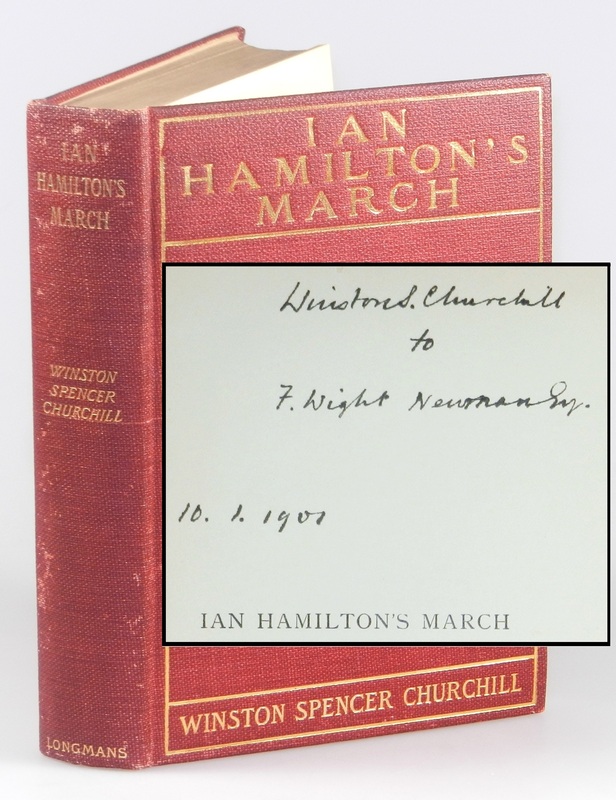 We recently discovered a wonderful first edition inscribed during Churchill’s first lecture tour of the United States and Canada. 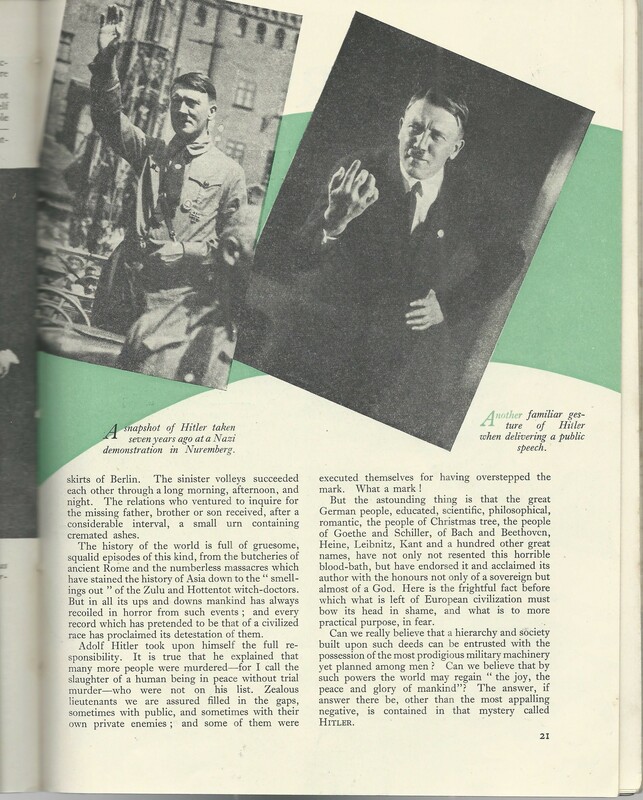 This book has never been offered for sale and was unknown to the collecting community. 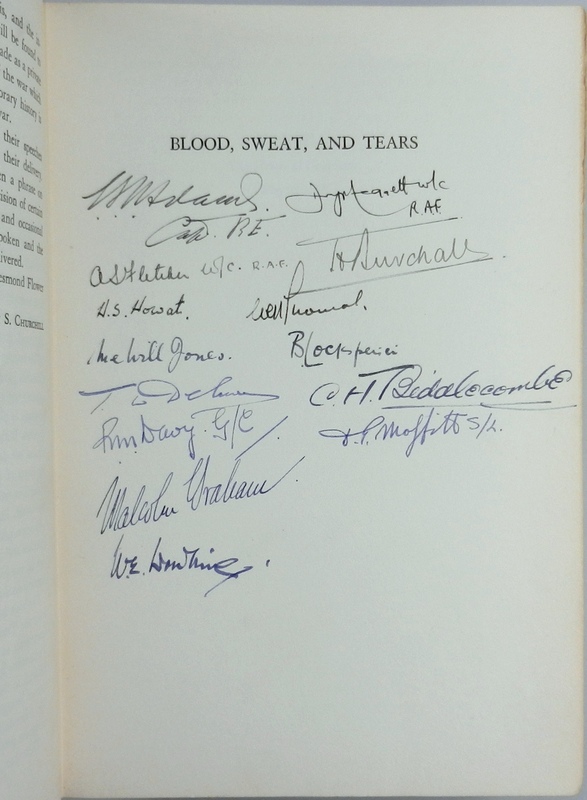 Unlike so many signed copies, we have provenance going back to the time of signing. 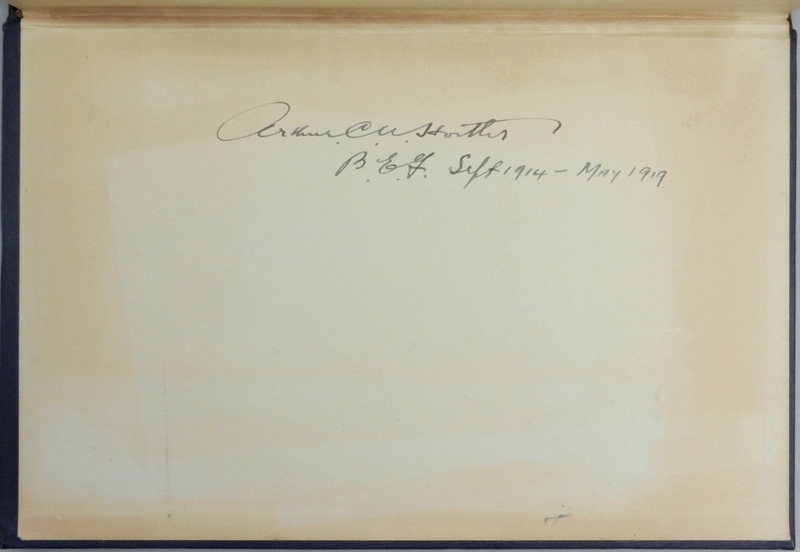 The book remained in Neumann’s family for more than a century, until 2003, when ownership transferred from Neumann’s grandson, Sterling E. Selz, to his friend and fellow collector John Patrick Ford, from whom it was acquired by Churchill Book Collector. 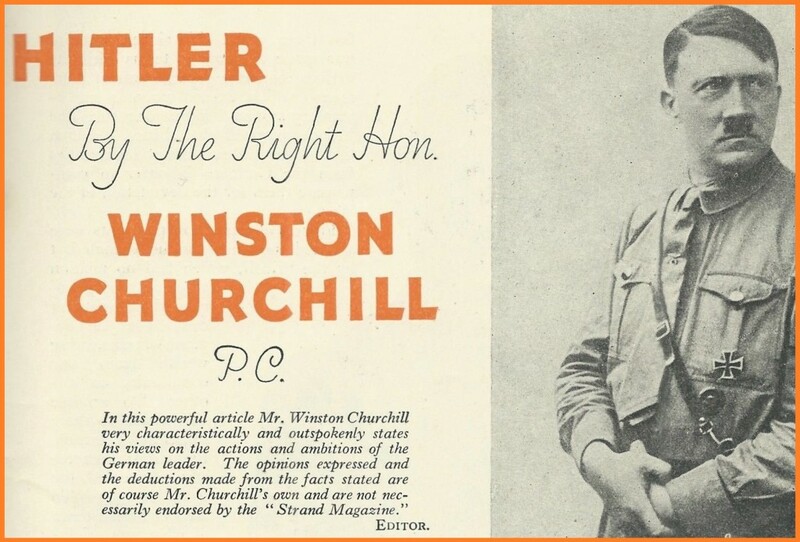 In 1900, Churchill had won his first seat in Parliament partly on the strength of his celebrity as a Boer War hero, having been captured and made a daring escape. 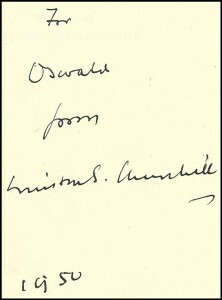 Churchill’s lecture tour of the United States and Canada was intended to improve his finances at a time when MPs received no salary. Churchill arrived in New York on board the Lucania on December 8, 1900. 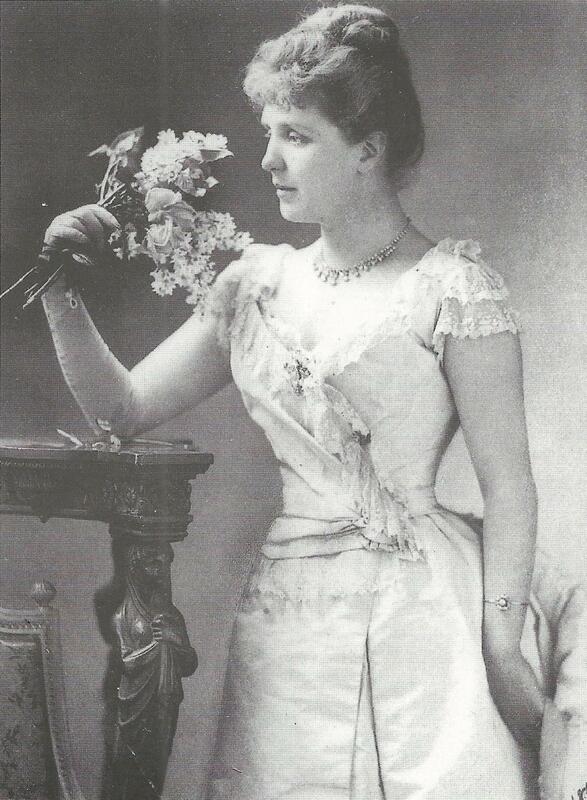 German-born F. Wight Neumann (1851-1924) was a Chicago-based impresario, “one of the most noted impresarios in America” and “friend of virtually every prominent musician in the country” who “brought all of the great artists of the world to Chicago.” (Chicago Daily Tribune, 23 October 1924 Obituary) Neumann emigrated to America in 1877, originally training for a banking career. 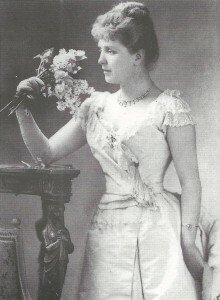 He came to Chicago in 1884. 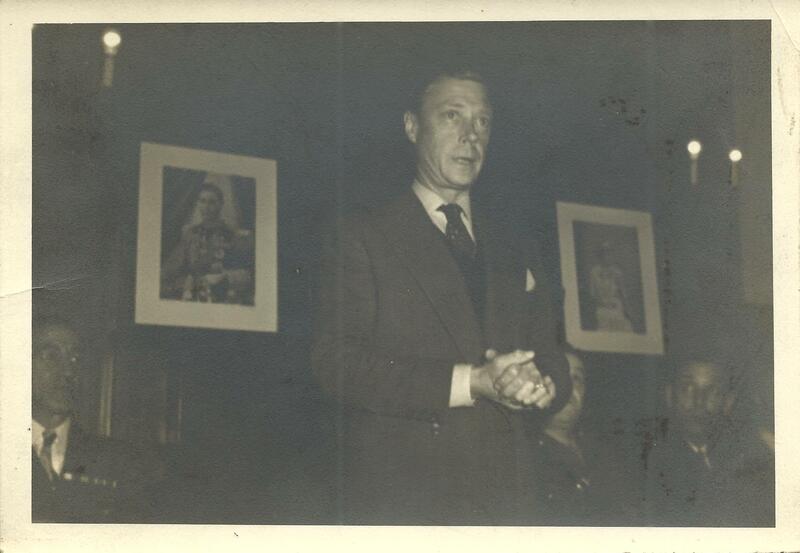 In addition to an incredible stable of musicians, vocalists, opera companies, orchestras, and conductors, also appearing under Neumann’s management in Chicago were select authors and lecturers, among them the young Winston Churchill. 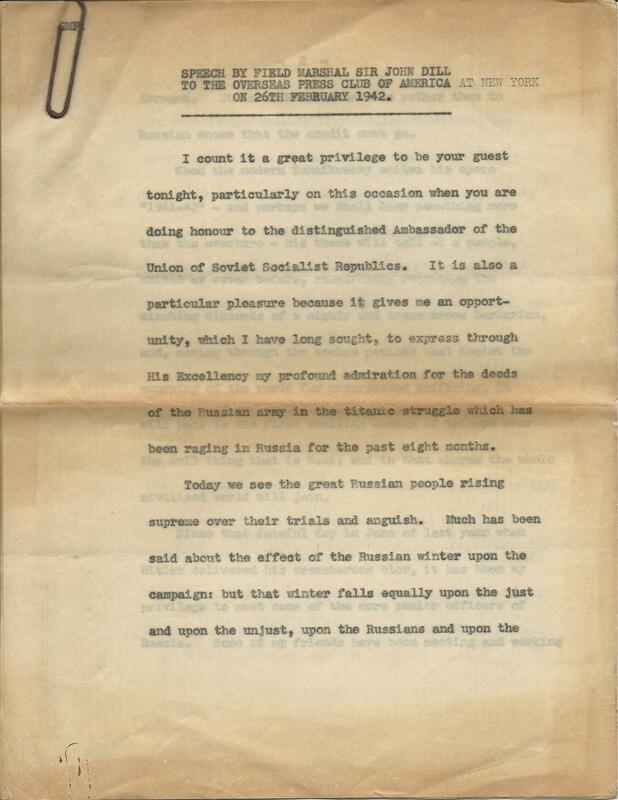 Churchill’s lecture tour had faced challenges and disappointments, among them smaller audiences and profits than anticipated, a frustrating tour manager, and the “strong pro Boer feeling” among “almost half” of some of his audiences. 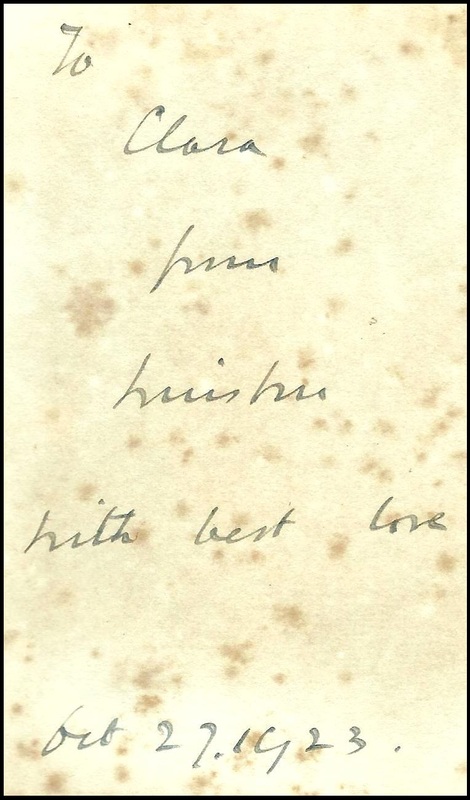 (21 December 1900 letter from Churchill to his mother) By the time of his Chicago lecture, Churchill had apparently found ways to deal with this last problem. When he displayed an image of “a typical Boer soldier” a gallery spectator hurrahed the Boers and “the cry was taken up by a large part of the audience,” followed by hisses from pro-British listeners. 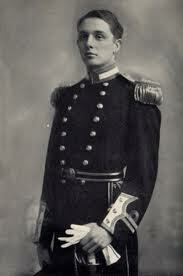 Churchill left the United States for England on 2 January aboard the SS Etruria. 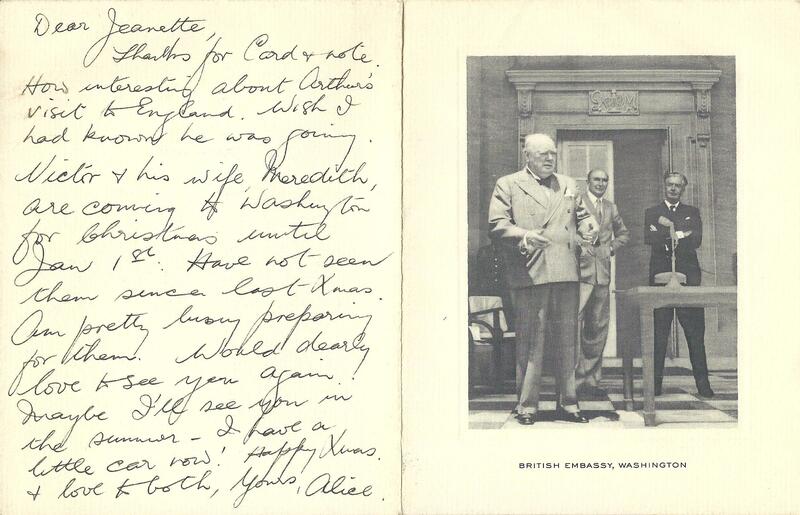 In a lecture tour that had proven both challenging and exhausting, Churchill had met President McKinley, dined with recently elected Vice-President Theodore Roosevelt, and been introduced by Mark Twain. He had taken his first full measure of the tenor and spirit of the nation that would prove his – and Britain’s – vital partner in the two world wars to come. While Churchill was abroad, Queen Victoria died, and the end of her 64-year reign also closed Churchill’s Victorian career as a cavalry officer and war correspondent adventurer. 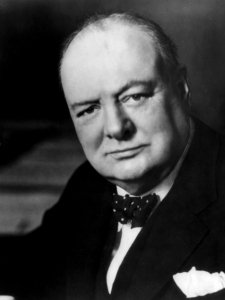 Churchill took his first seat in Parliament on 14 February 1901 and began a 60-year career as one of the 20th Century’s great statesmen. 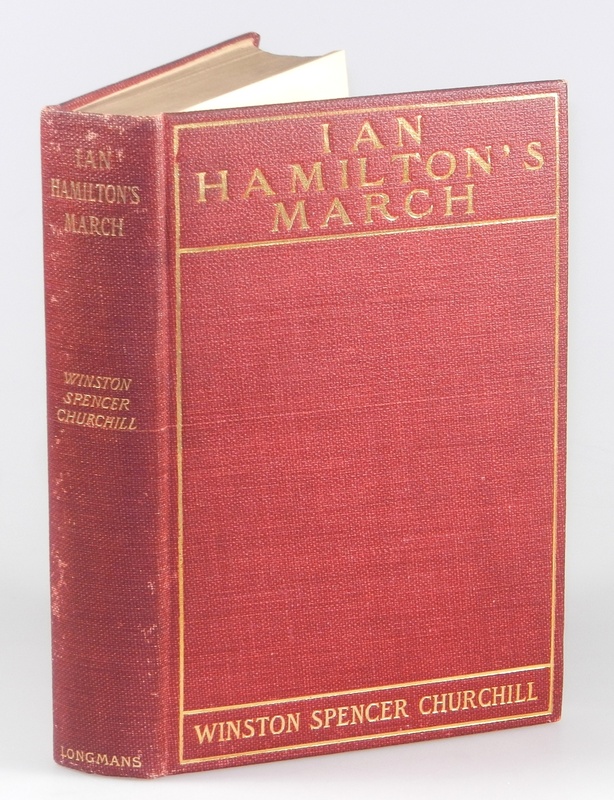 Ian Hamilton’s March is Churchill’s fifth public book and the second of Churchill’s two books based on his dispatches sent from the front in South Africa. 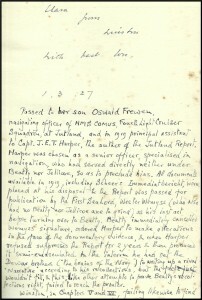 In October 1899, the second Boer War erupted in South Africa between the descendants of Dutch settlers and the British. 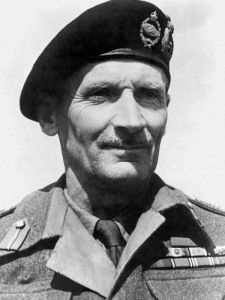 As an adventure-seeking young cavalry officer and war correspondent, Churchill swiftly found himself in South Africa with the 21st Lancers and an assignment as press correspondent to the Morning Post. 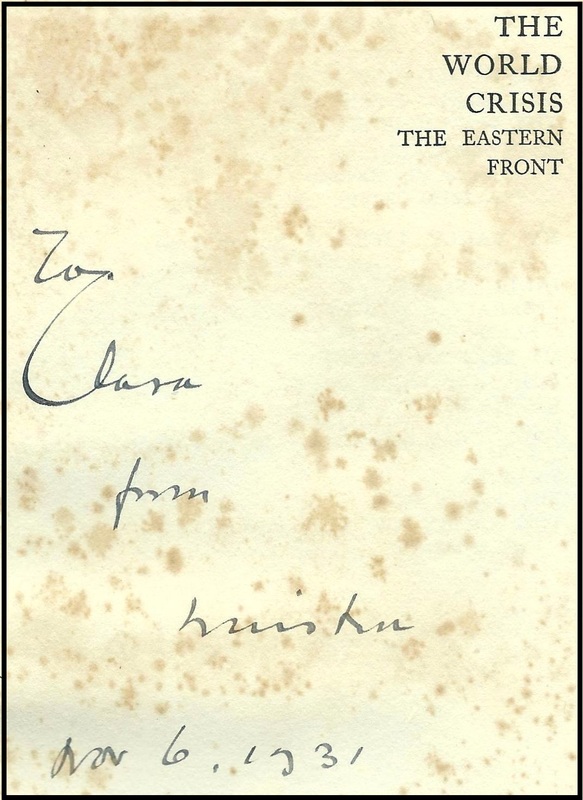 Not long thereafter – on 18 November 1899, Churchill was captured during a Boer ambush of an armored train. His daring escape less than a month later made him a celebrity and helped launch his political career. 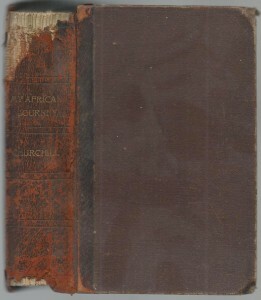 Churchill’s first Boer War book, London to Ladysmith via Pretoria, contained 27 letters and telegrams to the Morning Post written between 26 October 1899 and 10 March 1900 and was published in England in mid-May. 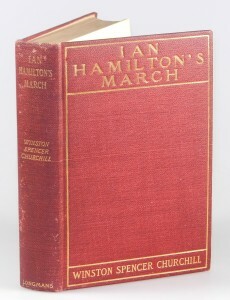 Ian Hamilton’s March completes Churchill’s coverage of the Boer War, comprising 17 letters to the Morning Post, spanning 31 March through 14 June 1900. 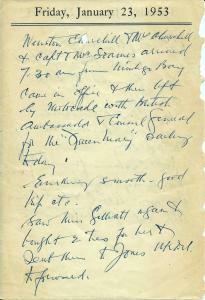 While London to Ladysmith via Pretoria had swiftly published Churchill’s dispatches in the wake of his capture and escape, for Ian Hamilton’s March “the texts of the originally published letters were more extensively revised and four letters were included which had never appeared in periodical form” (Cohen, A8.1.a, Vol. 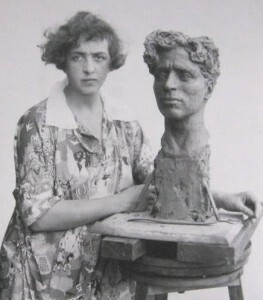 I, p.105). 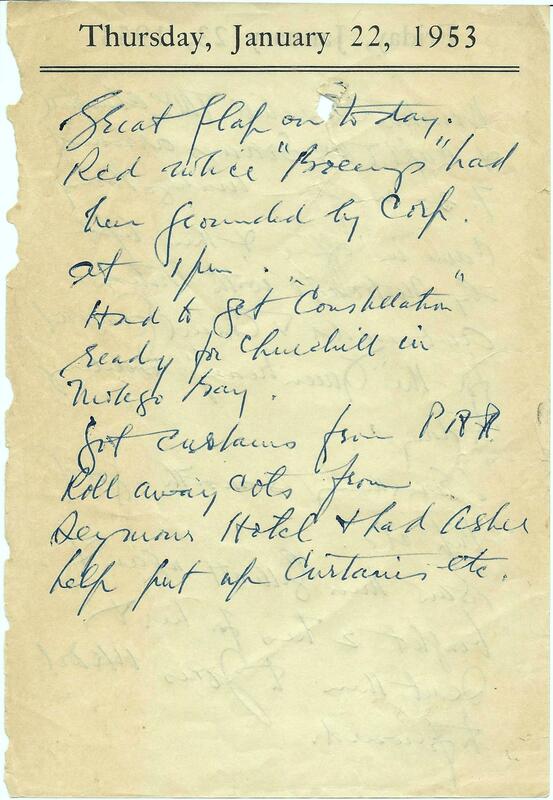 Churchill effected these revisions while on board the passenger and cargo steamer Dunottar Castle which was requisitioned as a troop ship, en route home to England. 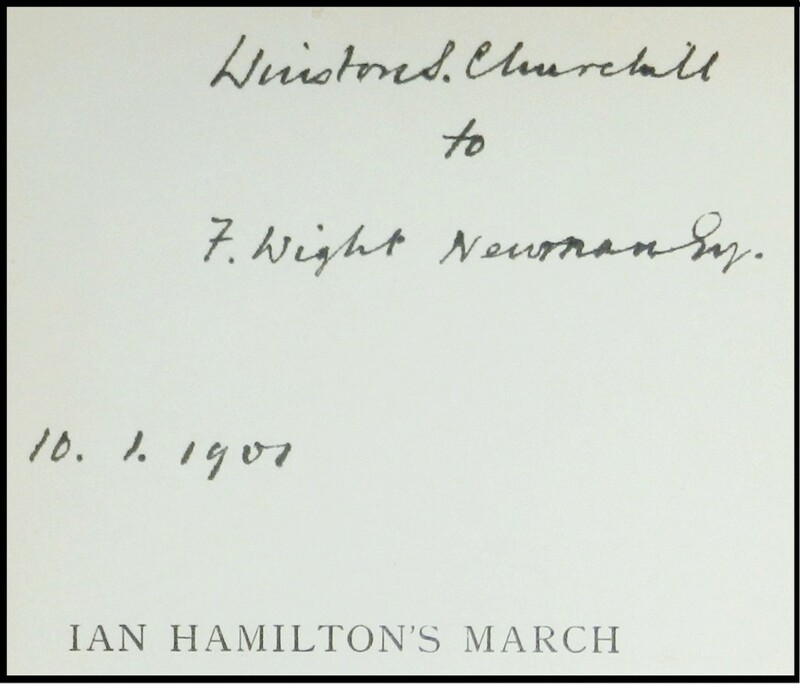 The narrative in Ian Hamilton’s March includes the liberation of the Pretoria prison camp where Churchill had been held and from which he had famously escaped. The title takes its name from General Sir Ian Hamilton’s campaign from Bloemfontein to Johannesburg and Pretoria. Churchill would maintain a life-long friendship with Hamilton, who would be involved in the Gallipoli landings and to whom Churchill would sell his first country home. 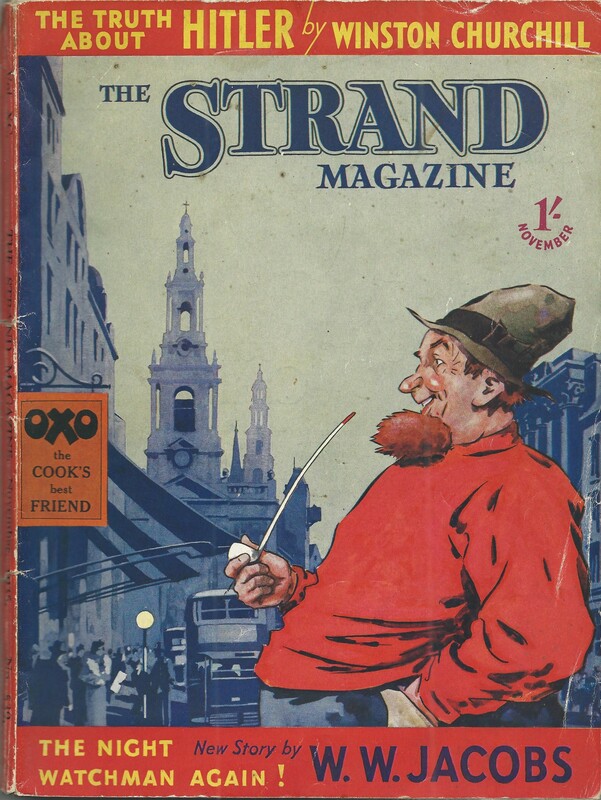 The U.S. first edition saw only a single printing. 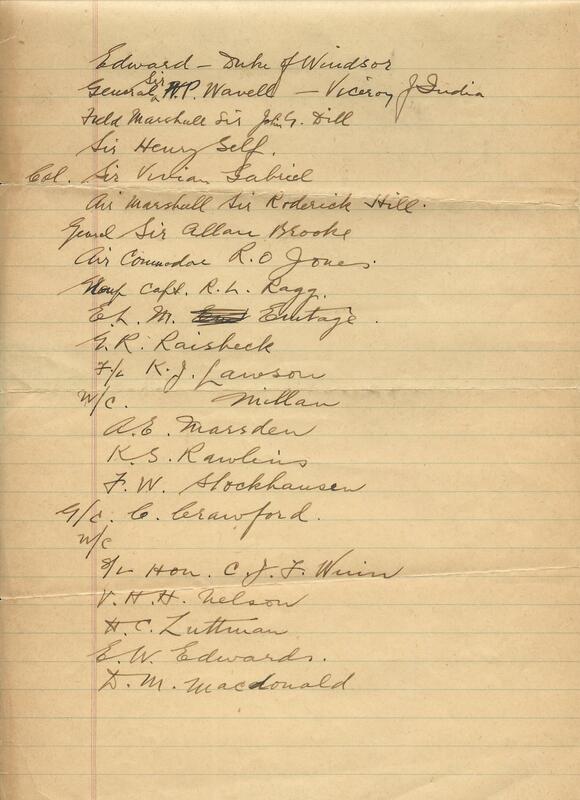 The number sold is unclear, but seems to be fewer than 1,500. Published on 26 November 1900, the U.S. first edition was thus available for sale when Churchill arrived in New York on 8 December 1900 for his first North American lecture tour. 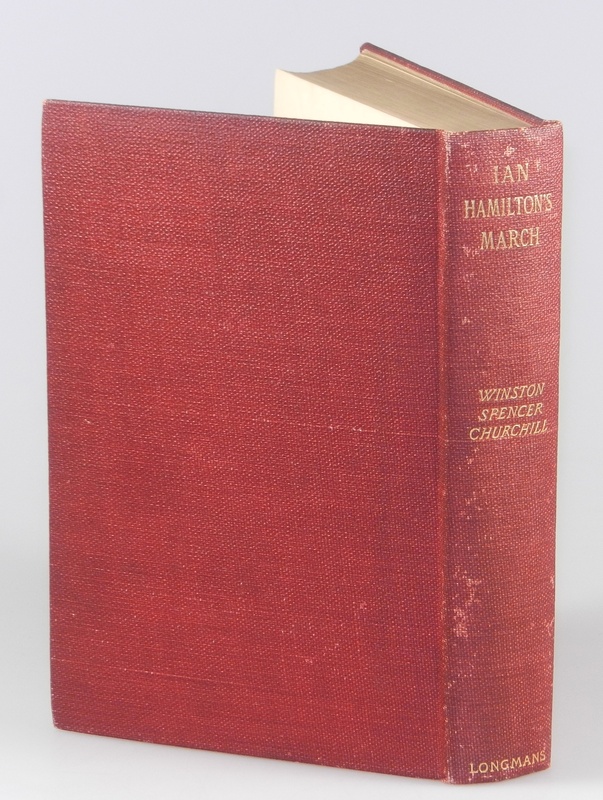 Like the U.S. first edition of Ladysmith, the U.S. first edition of Ian Hamilton’s March is bound in pebble grain red buckram which proved durable yet susceptible to blotchy wear and discolouration, particularly on the spine. 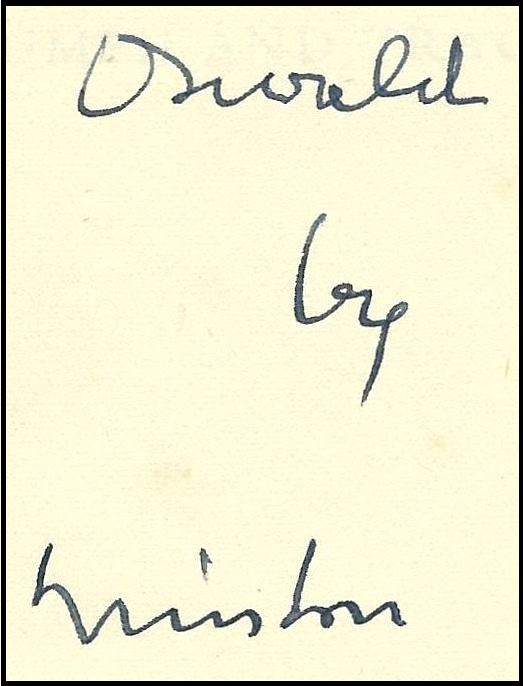 The excellent condition of this copy would make it collector-worthy, independent of the author’s signature. The red cloth binding remains unusually clean and tight, with sharp corners, and bright gilt and only trivial wear to extremities. The spine toning and uneven coloration endemic to this edition is mild. 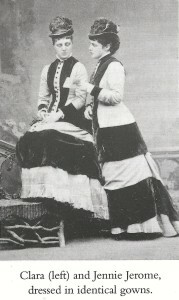 The spine retains excellent color and vivid gilt, with only a barely discernible hint of uniform toning and modest instances of the typical discoloration. The contents remain uncommonly bright and crisp. 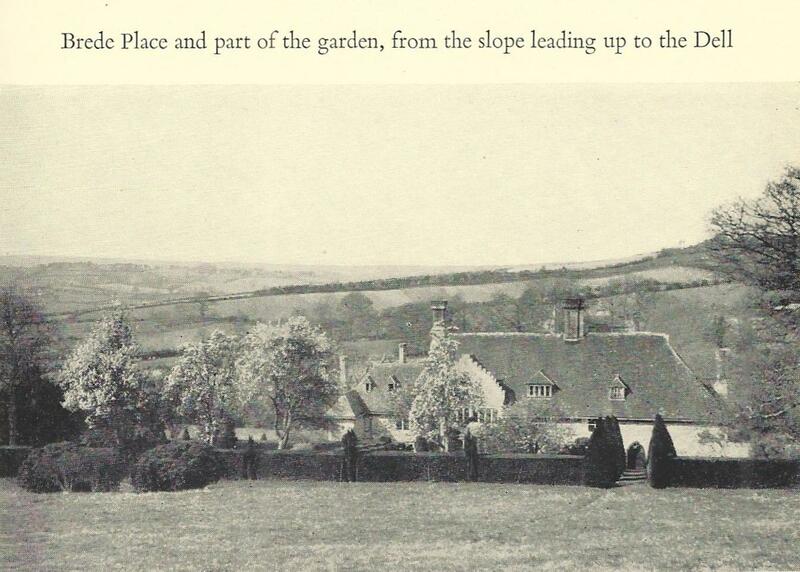 A trace of spotting is confined to the frontispiece tissue guard and the fore edge. 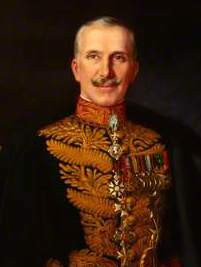 The top edge gilt remains bright. 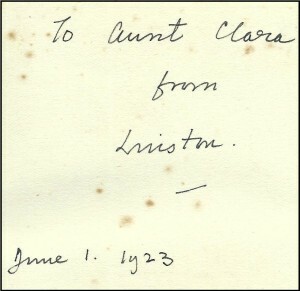 Other than the author’s inscription, the sole previous ownership marks we find are a half dozen illegible, tiny pencil script letters at the upper left rear pastedown that we have refrained from erasing just in case some future owner may be able to decipher them. 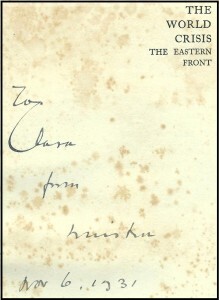 The inscription remains clear and bright, with minimal age spreading on a bright and otherwise unmarked half title page. 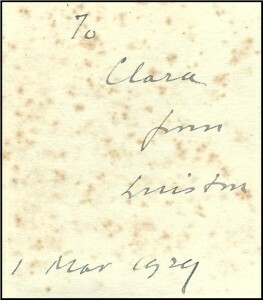 The date is written with European, rather than U.S. precedence, with the month “1” following the day “10” making the date of inscription 10 January 1901. 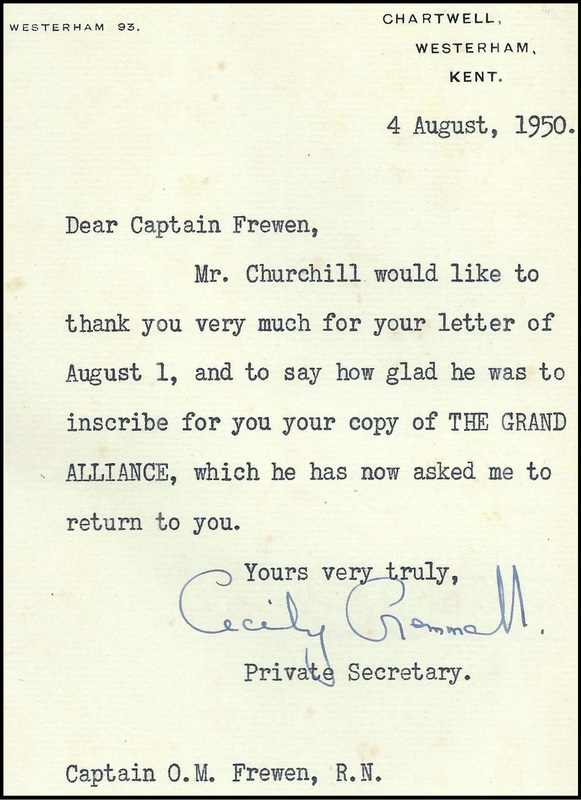 It is interesting to note that Churchill omits the second “n” at the end of Neumann’s name and it appears as if he initially misspelled the name as “Newman, with a bit of extra ink at the “um” transition seeming a possible attempt to correct the spelling error as it was being inked. Joining a trade association is not usually a stimulating and exciting event. No parades and press announcements. 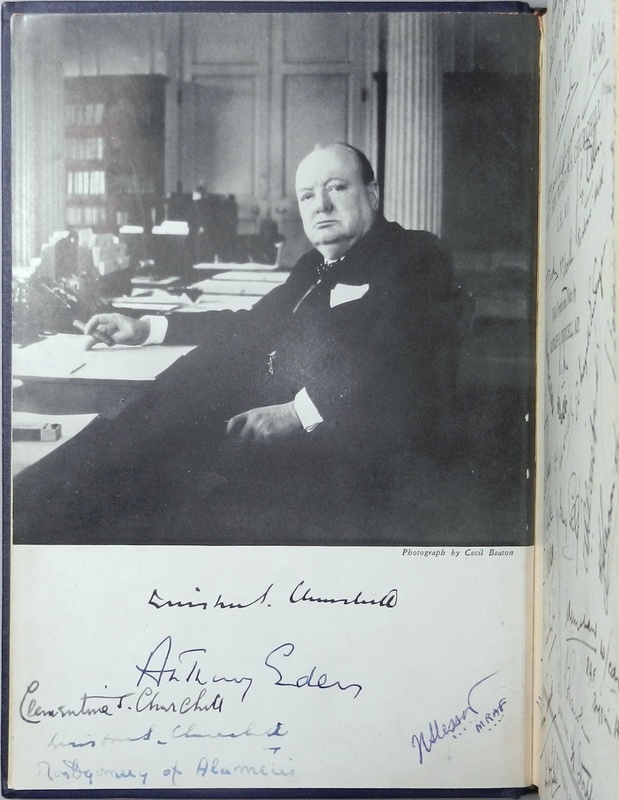 Nonetheless, Churchill Book Collector is quite excited to announce that we have been invited to join the Antiquarian Booksellers’ Association of America (ABAA). The ABAA is the oldest association of professional booksellers in America and not only includes some of the most distinguished names in the book trade, but also supports an admirable array of preservation, education, research, and networking endeavors. 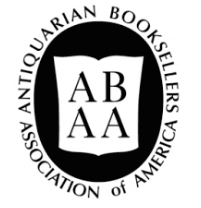 Along with becoming a member of the ABAA, we are now affiliated with the International League of Antiquarian Booksellers (ILAB), which links like-minded national bookseller organizations, representing an impressive array of professional booksellers from 32 different nations. First, the high professional and ethical standards we seek to uphold are admirably supported by the ABAA and shared by its members. You may read more about the mission of the ABAA HERE and the ABAA Code of Ethics HERE. 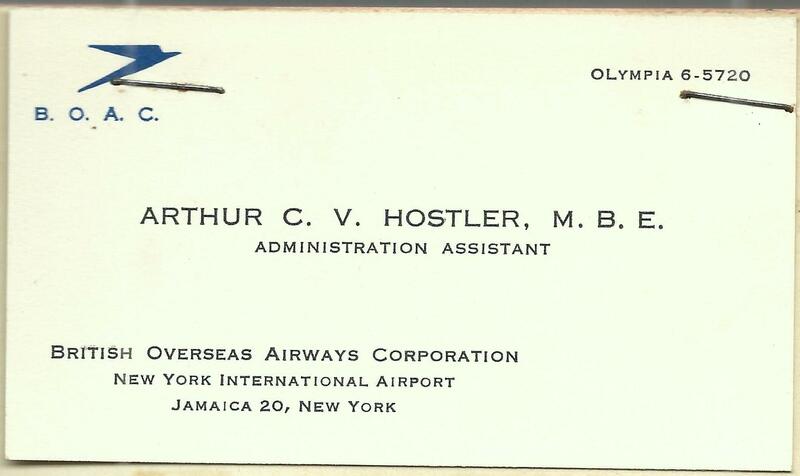 As any collector knows, there are few things more disappointing than laboring to find and fund just the right acquisition, only to have the experience marred by an inexperienced, unprofessional, or unscrupulous seller. ABAA members have – and the organization upholds – the highest standards in the book trade. Second, with ABAA membership we further enhance our ability to serve our customers. 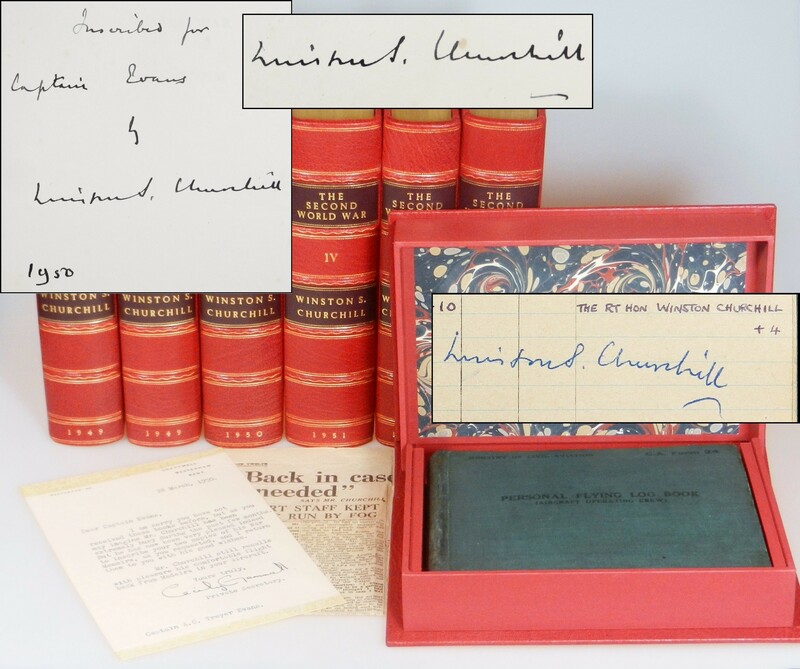 Our inventory of material by and about Winston Churchill is one of the world’s most extensive, with offerings ranging from some of the rarest material offered – including fine first editions and inscribed copies – to reading copies and works about Churchill’s life and time. We have the good fortune of an excellent reputation in this specialty and a discerning, global clientele. 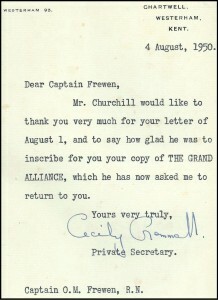 However, both our own collecting interests, and those of our customers extend to authors and eras beyond Churchill. Our inventory has begun to reflect this collecting diversity and will continue to do so in the future. 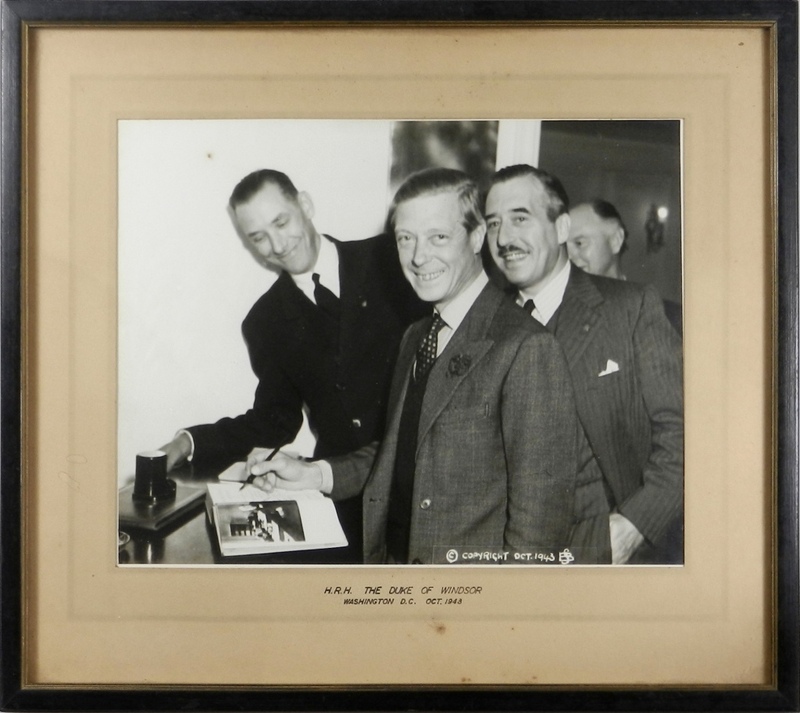 Our ABAA membership will enhance our ability to help our customers acquire rare and collectible books beyond the Churchill canon. 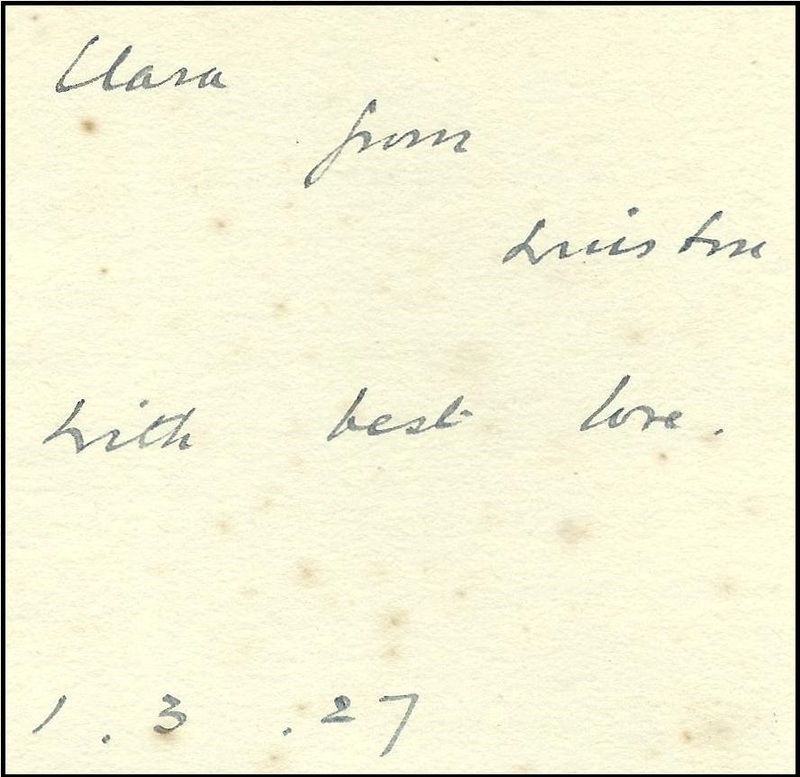 To those of you who read our blog, our thanks for sharing our passion for the printed word. To those who have chosen us to help us build your own collections, we look forward to continuing to help worthy books find your shelves. 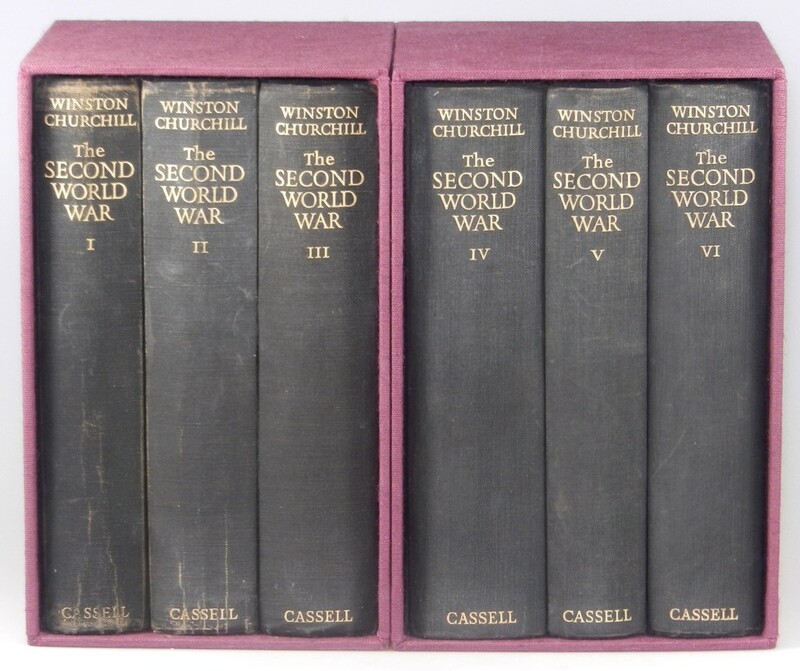 Churchill Book Collector is pleased to present a unique full set of British first editions of The Second World War. 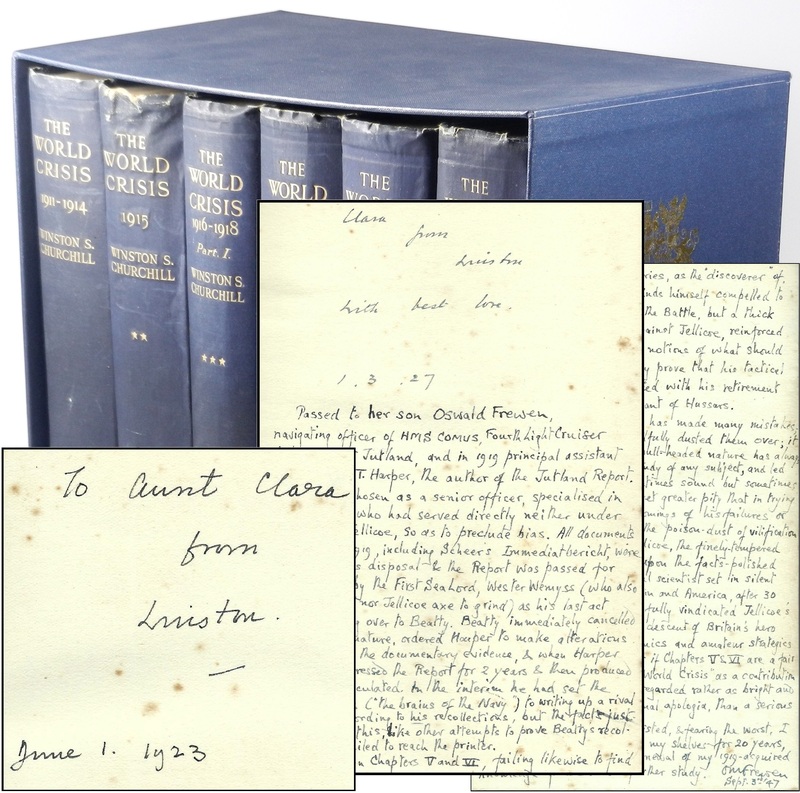 What makes this set unique is that each volume is inscribed to the same recipient – Churchill’s first cousin, Captain Oswald Moreton Frewen. 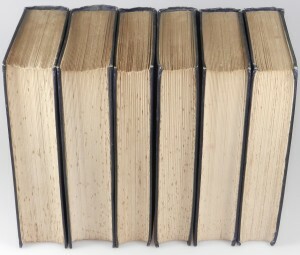 Four of the volumes are inscribed in the year of publication. 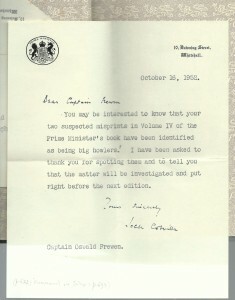 Moreover, the set includes three letters about the books addressed to Oswald from two of Churchill’s private secretaries on both Chartwell and 10 Downing Street stationery. 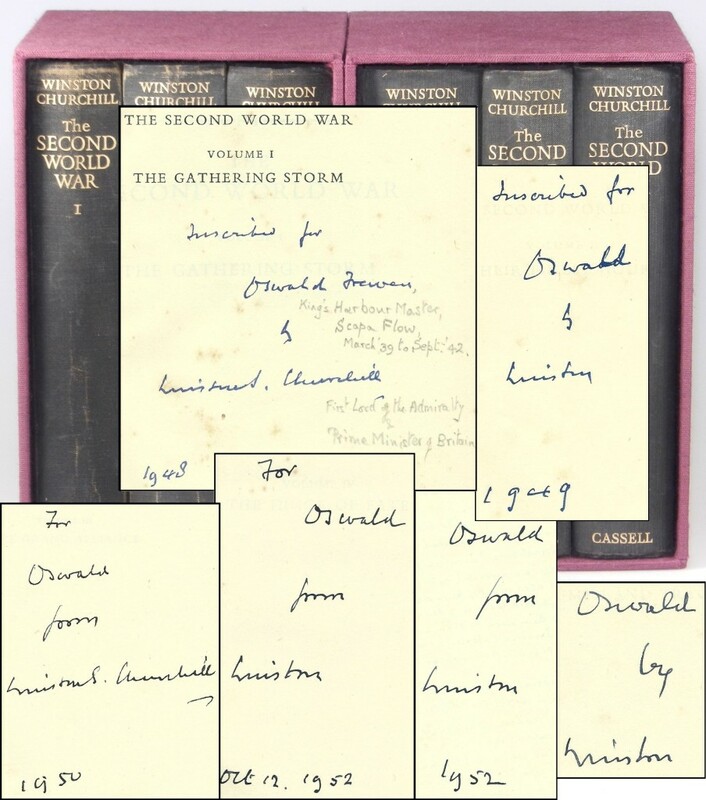 Oswald not only requested the inscriptions, but cheekily made corrections to this signed set of his books and sent emendations to his cousin. 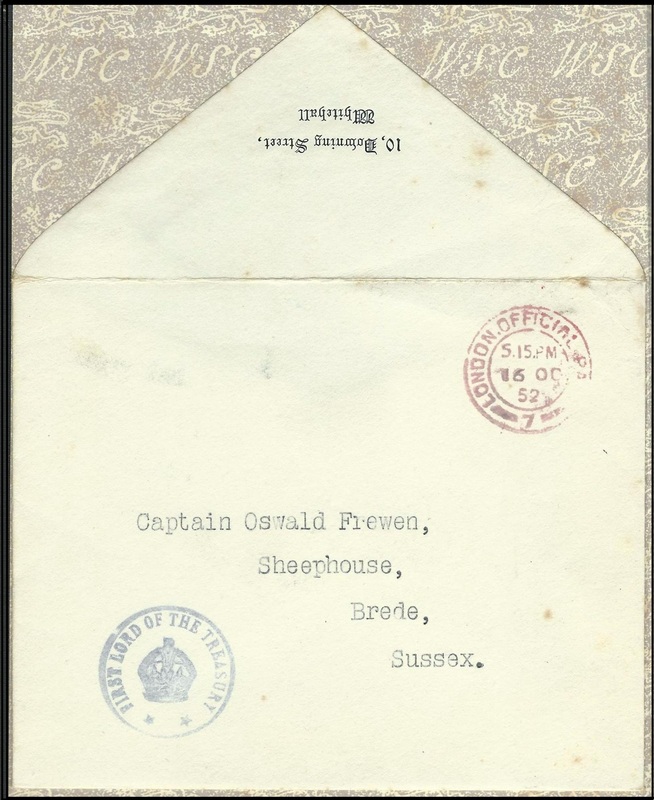 This is our latest offering from the incredible Frewen family collection. 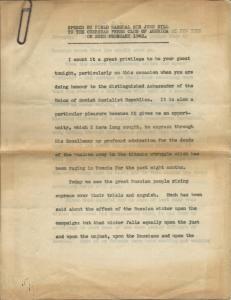 To read more about the collection, please see our January 12th blog post. This post provides full images and details about this set. 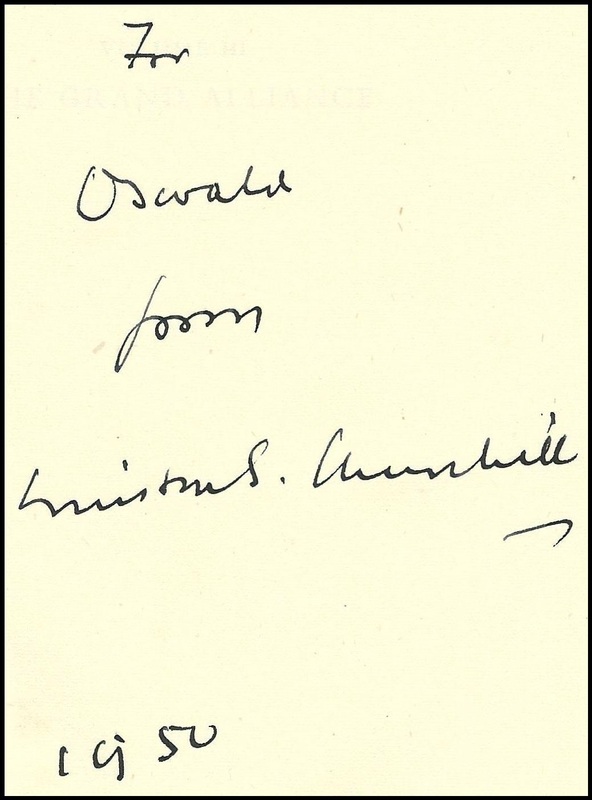 Beside his own name, in pencil in Oswald’s wrote: “King’s Harbour Master | Scapa Flow | March ’39 to Sept ’42” and beside Churchill’s signature “First Lord of the Admiralty | & | Prime Minister of Britain”. 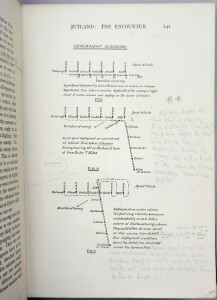 Oswald also made pencil annotations to pages 92 & 582, referencing these annotations on the half-title verso. Affixed to the front pastedown is the original franked envelope in which the letter was posted to Oswald. 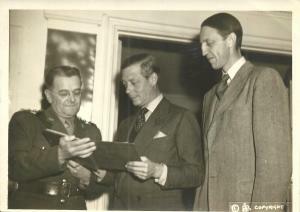 Oswald then enumerates a number of emendations, concluding with a complimentary paragraph about the “stimulus on the fighting personnel of his presence” imparted when Winston made “a personal visit to the Front”. 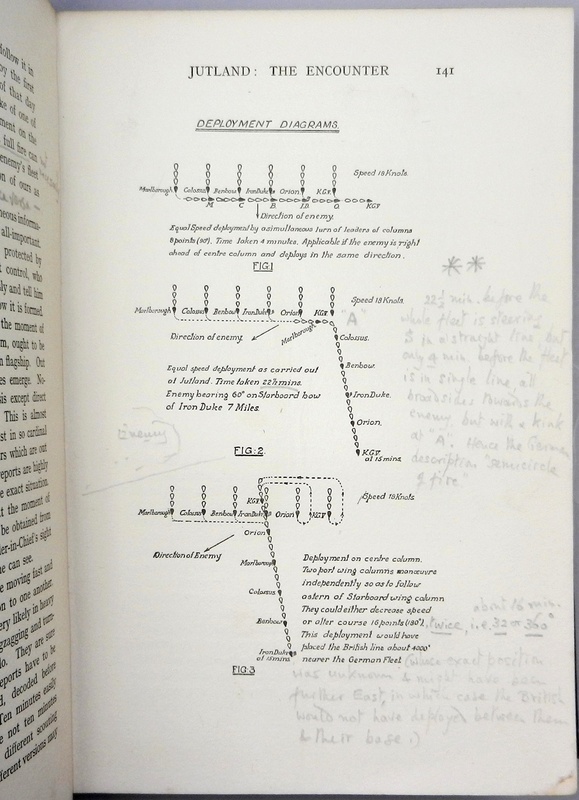 Oswald also made annotations in pencil to pages 68, 484, 518 & 551. Oswald Moreton Frewen (1887-1958) was first cousin to Winston Churchill. 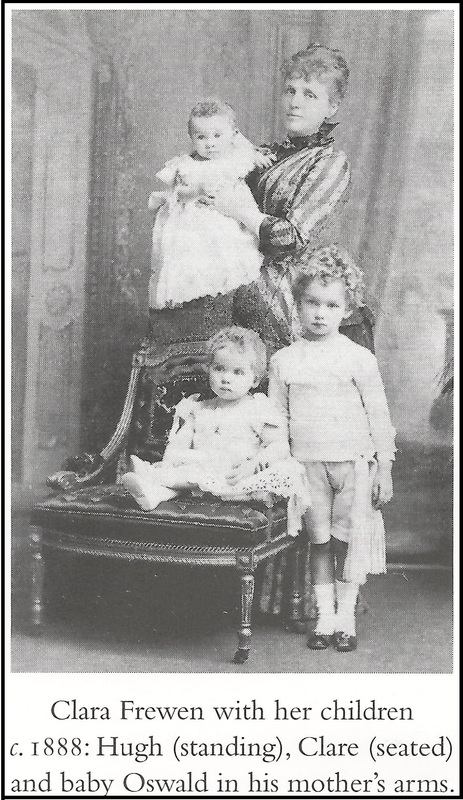 His mother Clara (1851-1935) was the eldest sister of Churchill’s mother, Jennie (1854-1921). Oswald was the youngest of three children born to Clara Jerome Frewen and Moreton Frewen. 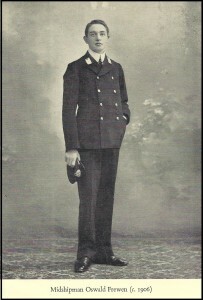 While Churchill was serving as First Lord of the Admiralty during the First World War, Oswald served in the Navy and was present at every naval engagement in the North Sea. 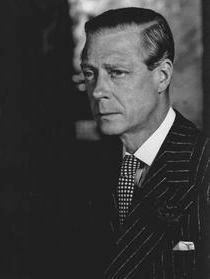 In 1939, the same year that Winston returned to the Government as First Lord of the Admiralty, Oswald returned to the Navy, becoming King’s Harbour master of Scapa Flow. 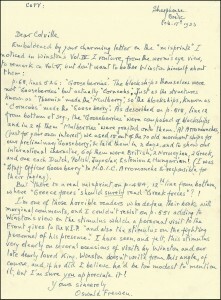 Oswald held this post from March 1939 to September 1942, also playing a role in the Algiers and Normandy landings and finally retiring from the Navy in 1945 with the rank of Captain. 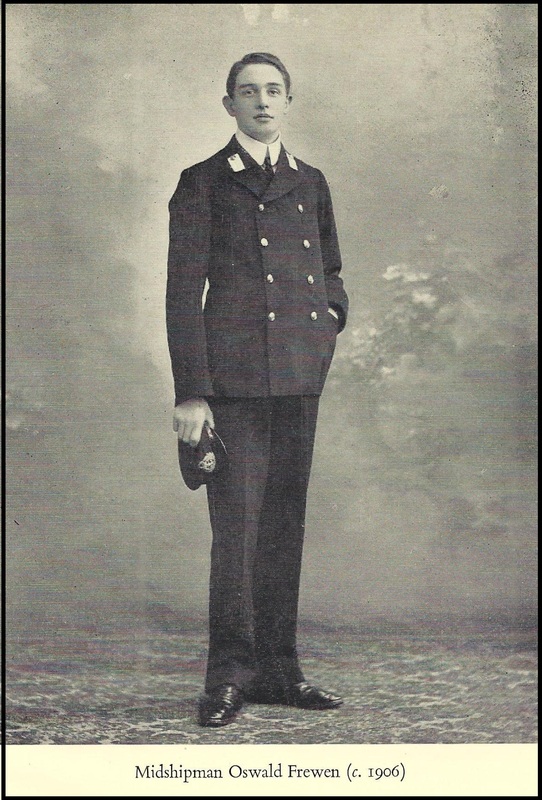 For a fuller biography of Captain Oswald Frewen, please see our January 23rd blog post. 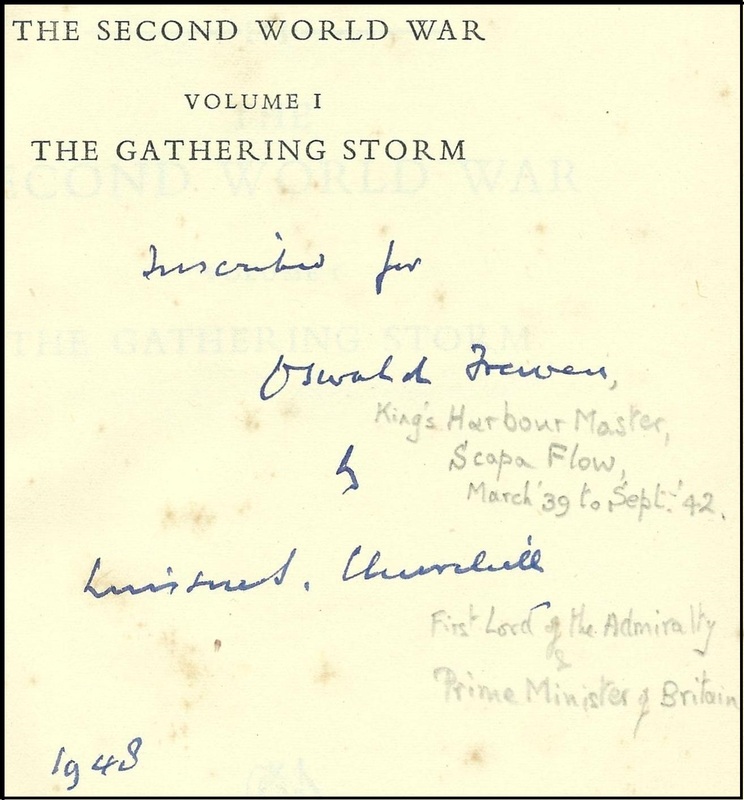 In his retirement years, Oswald read and annotated cousin Winston’s history of the First World War (as detailed in our January 23rd blog post) and kept in touch with his cousin, closely following the publication of Winston’s history of The Second World War. 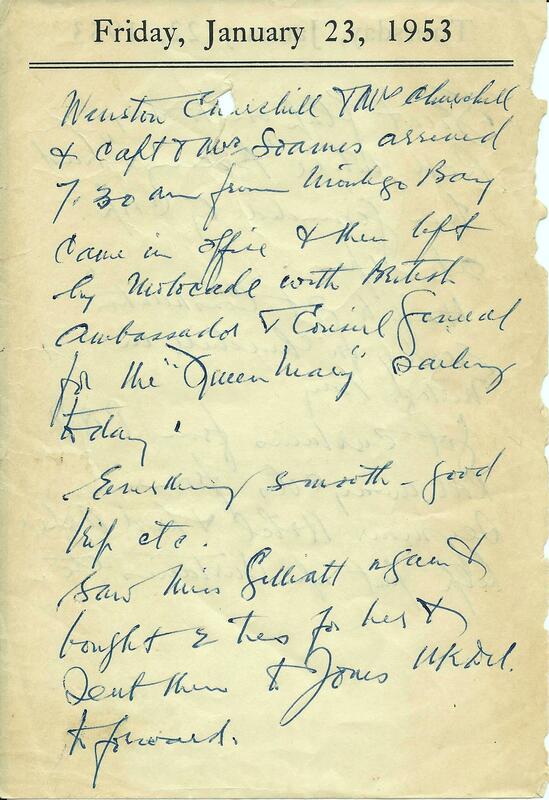 In 1949, Oswald and his sister Clare were Christmas guests at Chartwell. 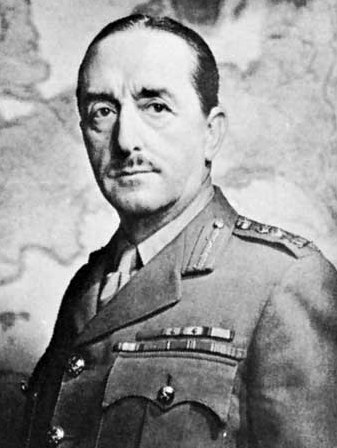 (Gilbert, Volume VIII, p.498) On 22 August 1950, Churchill wrote to Oswald about trying to complete the fourth volume: “I have had to give up all my holiday,” he complained, and stated “Volume IV is a worse tyrant than Attlee.” (Gilbert, Volume VIII, p.548) As this set attests, Oswald chose to congratulate Winston on his completed volume by sending him corrections! 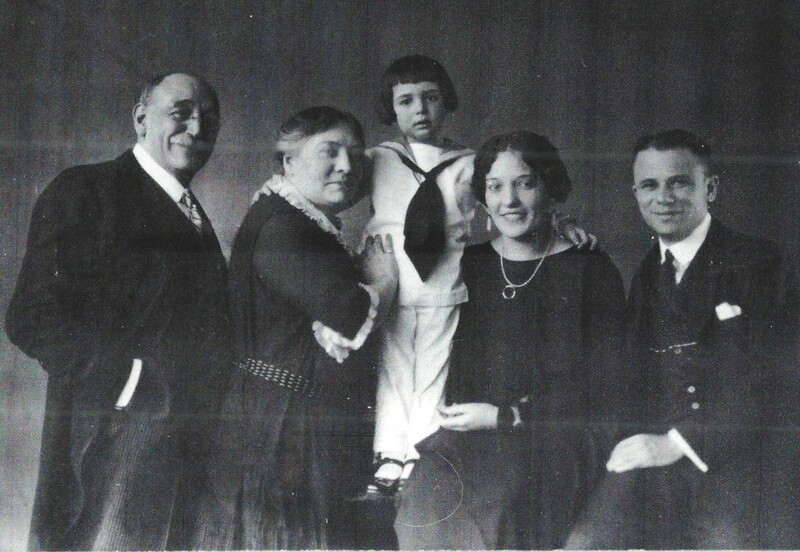 Oswald had a childless marriage late in life. 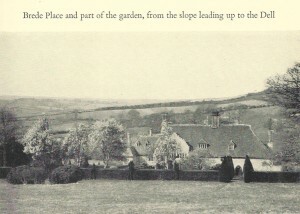 These books remained within the Frewen family until now, passing eventually to his great-nephew, from whom they came to us. 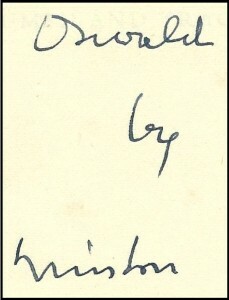 Oswald wrote these words on in the copy of Closing the Ring that is part of this set. 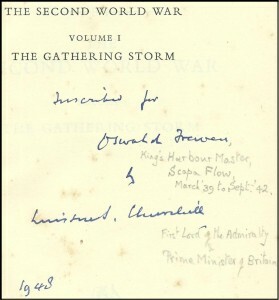 Oswald’s comment aptly indicates the condition of this, his remarkable set of The Second World War. This set is exceptional for content rather than condition. 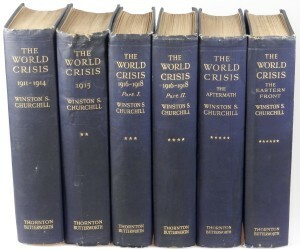 All six original bindings are sound and tight, but scuffed and a bit worn, consistent with the fact that they were diligently read by Churchill’s cousin. 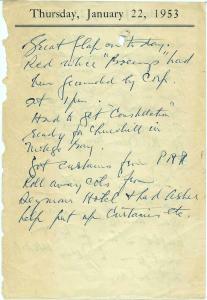 The contents bear modest spotting, mostly confined to page edges. Top edges are sunned to various shades of pink. 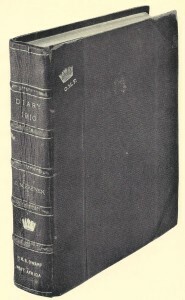 The only remnant of the original dust jackets is the front flap text of the Volume III jacket, affixed to the Volume III front pastedown. 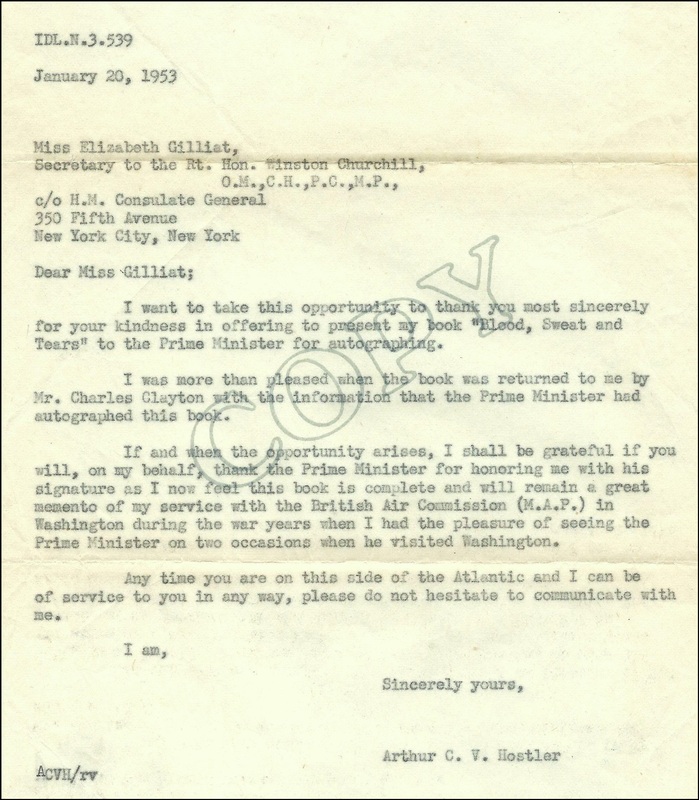 We find no previous ownership marks in the set other than the aforementioned author inscriptions, comments by Oswald, and correspondence from Churchill’s private secretaries. 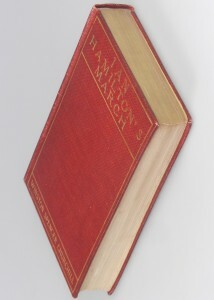 The set is housed in two stout, dark red cloth slipcases. 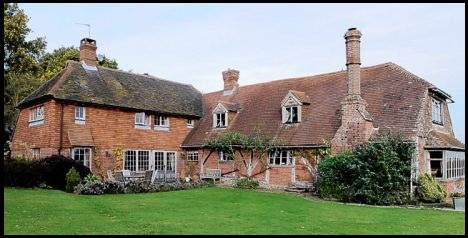 Please inquire with us about availability and terms. Many of our customers have asked us: How do I protect my collection? In this post we’ll try to encapsulate some of the answers we’ve provided over time – as well as the thinking behind these answers. 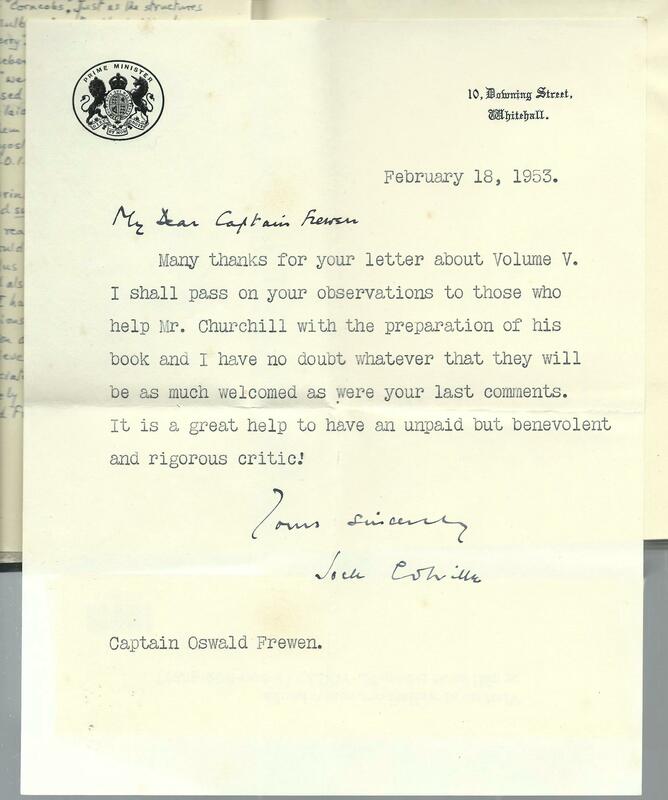 Book collectors are generally a fastidious lot. And with good reason. These objects embody time and place and encapsulate distilled perspective from the essentially human quest for understanding that links generations. 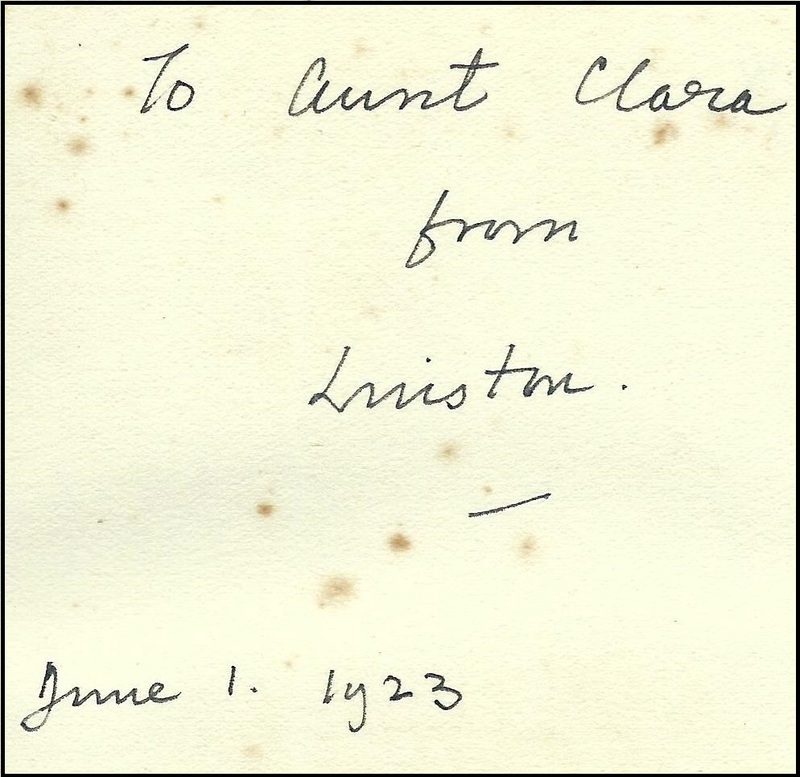 In more tangible terms, books are assets and heirlooms, often with substantial worth. 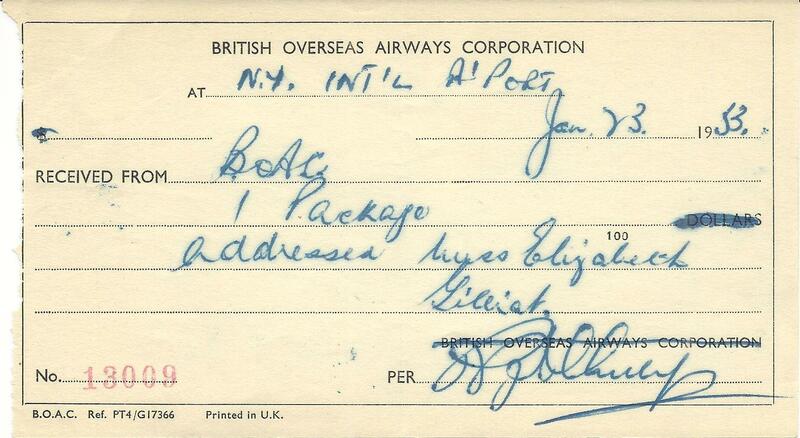 The books we collect are also inherently and vexingly perishable. Use will diminish their condition of course. Even if they survive the rigors of human contact, the ambient environment itself will take a slow, inexorable toll. And often the very materials with which the books are made will betray them, as slow, complex, and consumptive chemistry occurs. All of the things that provide for life – light, air, moisture, basic biology, and chemical reactions – besiege the book and bedevil the collector. 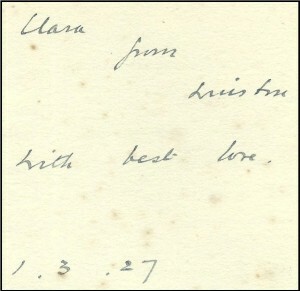 Nonetheless, properly treated, nearly any book can look forward to a much longer life than any single collector. That makes you a steward as much as you are an owner. Your job is to ensure that your most precious books pass from your hands to the next with as much defiance of age and injury as possible. So, how do you make sure that happens? “Moderation in all things.” This is a quote variously attributed to everyone from ancient Greek thinkers to modern poets. In a less deeply philosophical sense, it applies well to the task of book collecting. Moderate temperature, moderate humidity, moderate light exposure. These simple measures will do much to protect your collection. Temperature. 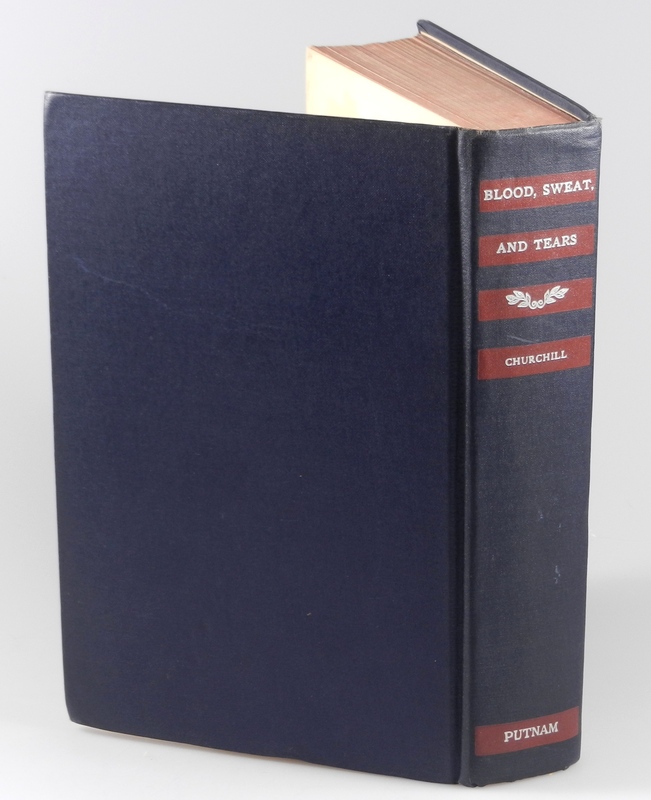 Excessive heat can make paper and bindings brittle, accelerate spotting and fungal growth, and increase the rate of chemical reactions, such as the breakdown of glue or the deterioration of non-acid neutral paper stock. Likely you prefer the inside of your home to be a relatively constant, moderate temperature. So do your books. Moisture. Water is essential to the growth of the wood and fiber materials from which so many books are made, and the industrial process of transforming these materials into paper and bindings. But after that, water becomes the enemy. Dampness can cause warping, oxidation, and fungal growth. Reasonable humidity is good. Dampness is deadly to books. Unfortunate are books which, like suffering characters in a Dumas novel, are kept in dank, below-ground cells where they slowly expire from withering consumptive disorders. Don’t keep your books in a dungeon. Light. Light is the luminous energy that makes it possible for those of us with sight to read. Light is also a form of radiation that breaks down the colors and materials and eventually the corporeal integrity of a book. You wouldn’t leave yourself out all the time in direct sunlight. Don’t do it to your books. Keep your books on clean and tidy shelves, either standing upright or lying flat. This way there is no differential pressure on the binding. For the same reason, when shelving the book, try to place it beside books of a similar size. Try to locate your bookshelves in a place with fairly constant and reasonable temperature and humidity – like the inside of most modern homes. Make sure your shelves are out of direct sunlight. 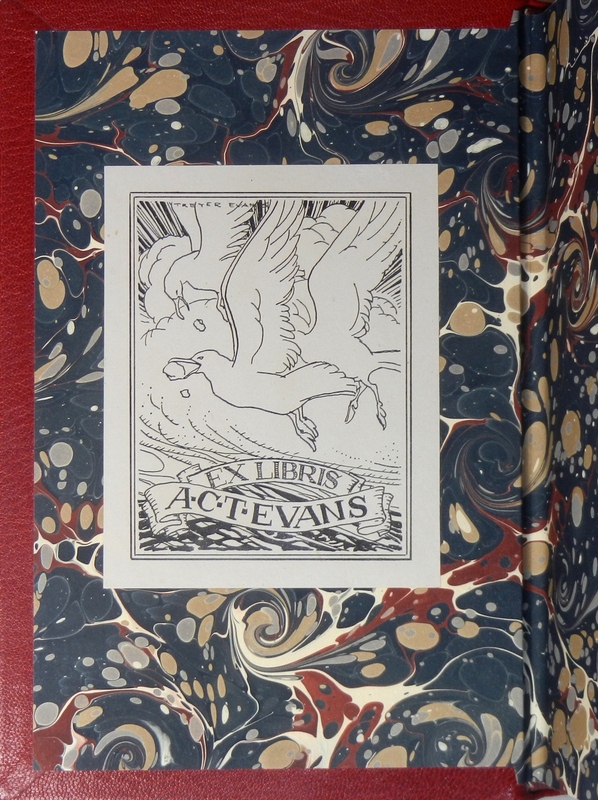 Every book with a dust jacket that we sell comes fitted with an archival quality clear cover. These covers have clear mylar on the front and acid-neutral paper backing. 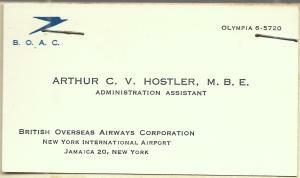 They fold neatly around a dust jacket with no need for adhesives of any kind and are easily removable. 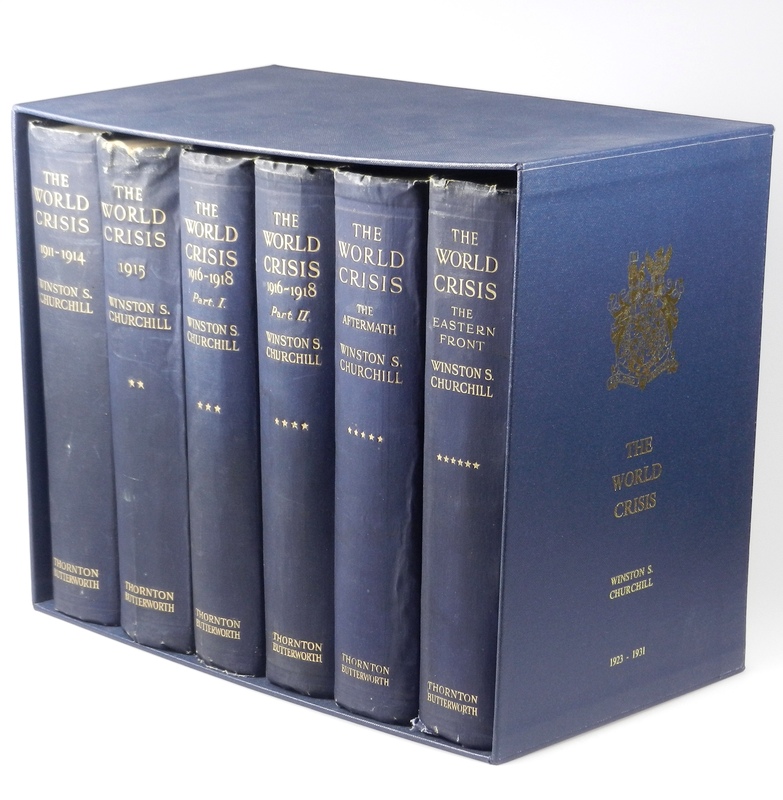 We strongly recommend that you protect all of your dust jackets thus. Brodart and Gaylord are two companies that sell such protective covers. 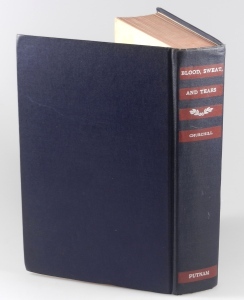 Similar clear mylar cover material can be used to protect bindings that lack dust jackets. For extra protection on the shelf, bookcases with glass doors help keep out dust and insulate from normal swings in temperature and humidity. These can get pricey, but there are lower cost options too. IKEA is one company that offers a variety of relatively inexpensive cases with doors. 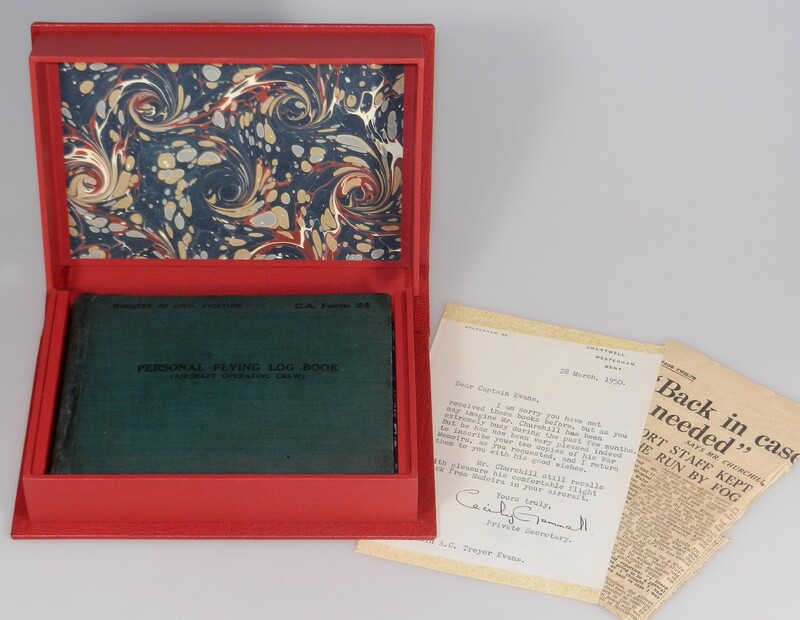 For really precious volumes, a custom box should be considered that will fully encase the book. This option offers fairly comprehensive protection from dust, sunlight, and air pollution. “But,” you might say, “then I won’t get the attractive look of my books on the shelves!” If that’s a concern, a good binder can make sturdy book boxes that have curved and hubbed leather spines, just like a fine binding, so that the boxes will both look great on the shelf and protect the book within. Note the emphasis on “a good binder.” Ask us to refer you to one, which we will be happy to do. We’ve talked a lot about how to shelve and store your books, but of course you’ll sometimes want to actually take them off the shelf. When taking a book from the shelf, always take it from the middle, not the top of the spine, and pull it straight out to prevent damage to the spine and rubbing to the edges. 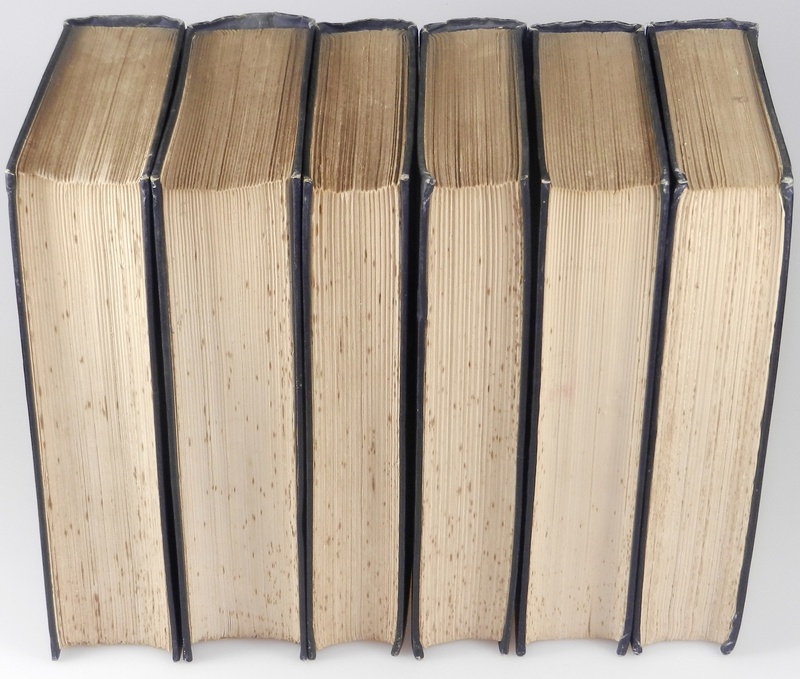 Always support the book at the spine when opening it and be careful not to bend the covers back too far as this may crack the hinges, especially in older books. And remember that humans are messy creatures. You know how people leave fingerprints on nearly everything they touch? That’s from the oil in our skin. When you touch a book, it’s the same. But unlike the clever villain wiping down a crime scene, you can’t readily remove the oil and dirt you inevitably and indelibly leave on the porous cloth or leather binding you handle. 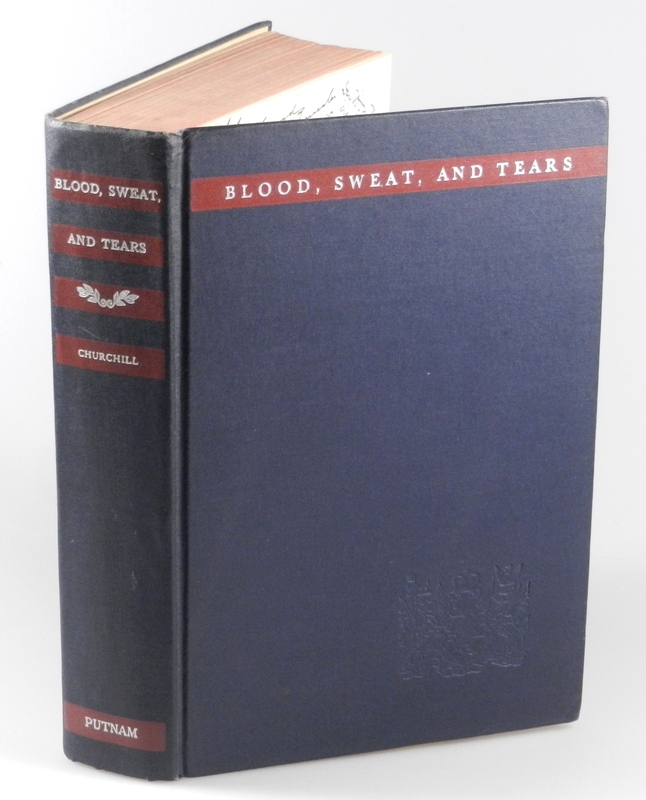 That’s why dust jacket protectors and mylar covers are important, as are clean, dry hands. 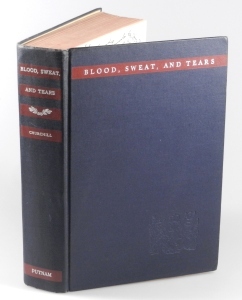 Torn dust jacket? Cracked hinges? 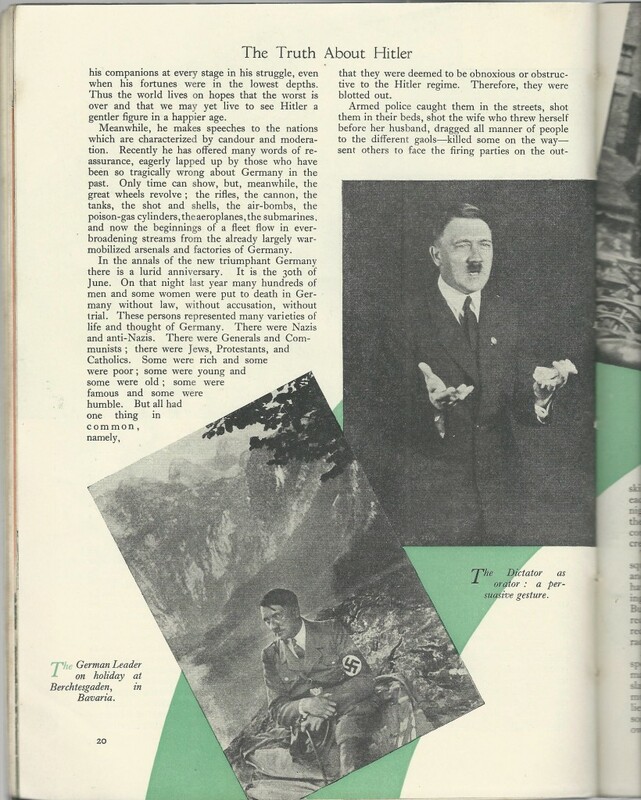 A loose page? Don’t DIY. Before you try to repair a valuable but damaged book, count to ten. While you are counting, step away from the tape, put down the glue, and call a professional. Why? Let me ask you this: did you do your last biopsy yourself? Did you self-sew your last round of stitches? 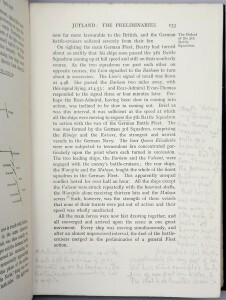 Use of non-archival, non-professionally applied materials – particularly adhesive materials – is usually an irreversible disaster that permanently diminishes the value of your book. 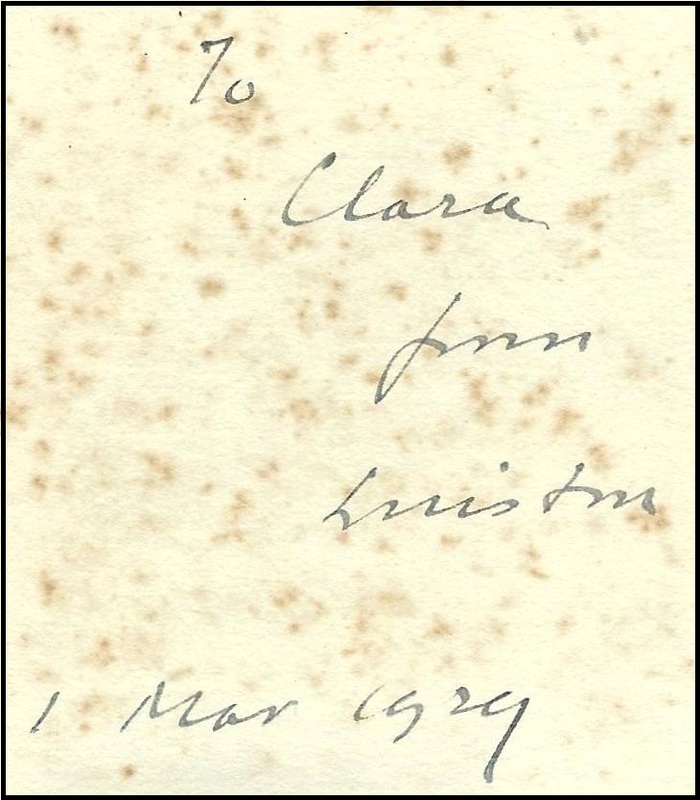 Rust colored spots which occur on paper – most typically seen on endpapers and page edges – are often called “foxing” (so-called for the usually reddish-brown color of the stains) or “spotting”. Informed consensus appears to be that these spots occur on the paper as a result of oxidation of both organic and iron impurities residual from the paper making process. Given the right temperature and humidity conditions, these latent factors cause spotting to occur. Other theories are that some form of fungal growth may play a role. Irrespective, it seems clear that high temperatures and humidity enable and accelerate spotting. 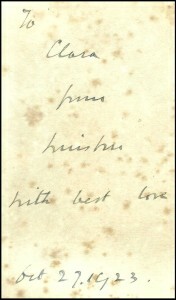 Spotting does not impact the integrity of the paper, but does affect aesthetics and, when pronounced, affects value as well.